If you are an Accountant, trying to learn Cloud Accounting to enhance your knowledge of next gen tools or If your organization has purchased Reach Accounting Software and you will be the key user. Cloud Accounting brings a lot of benefits to your practice by giving you a real time view of your clients Accounts and taxes. It gives you additional bandwidth to add more clients from anywhere in the world and helps you finish their accounting and taxes on time. For you, this course will be a useful insight on finishing accounting and taxes of your clients using the software. As a student of accountancy you might want to enhance your key skills and be job ready. This course will teach you how you can be more efficient by using next-gen accounting software. 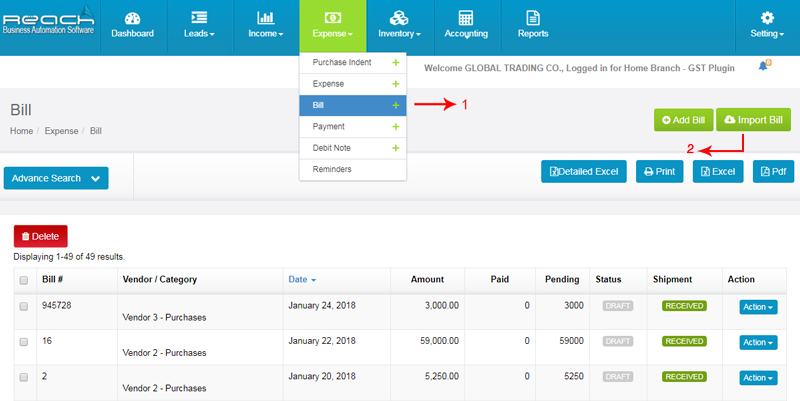 Take a quick walkthrough of the Cloud Accounting Software along and explore the various Menu and Submenu. Think about Facebook, Gmail and Internet banking. Every time you login and access this data, you’re using the cloud. 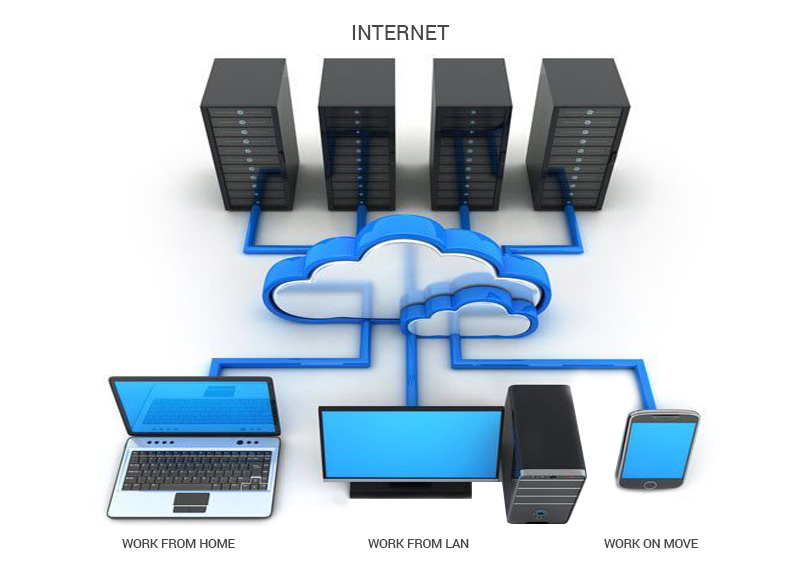 The Cloud becomes possible because of availability of internet. It makes data and software accessible online anytime, anywhere, from any device. Reach Accountant is an Accounting Software. However, Unlike your traditional software like Tally, MYOB etc, it is hosted on the Cloud and so allows you to access and use from anywhere like your facebook or gmail using a browser. Reach Accountant is made to suit 21 different businesses and hence gives a business the advantage of using a single software without having to customise the software for their needs. Setting up your Account involves creating your software account and getting it ready to use. Once your Account is set-up, The next step is to train the users. Depending on the size of the company, you can identify the employees who will be responsible for using the software. Though all of the employees can use Reach at the same time, for the purpose of training, you will have to identify one super user within your organization. This super user can be yourself or any of your senior employees who understands the business. Once your users are trained in the software and have practiced the entries in the software, You are ready to roll out for daily transactions. 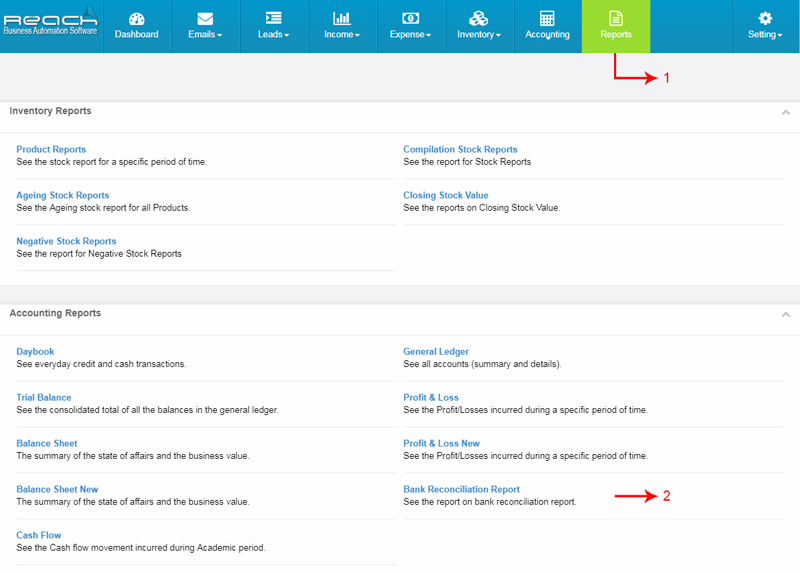 Once done, check if the Trial Balances, Customer and Vendor Balance and Opening Stock tallies in the respective reports. Adding VAT details of the Customer. Adding the VAT Details of the Vendor. Mapping the Account ledger to VAT Return items. Once this is done, The basic VAT set-up is done. 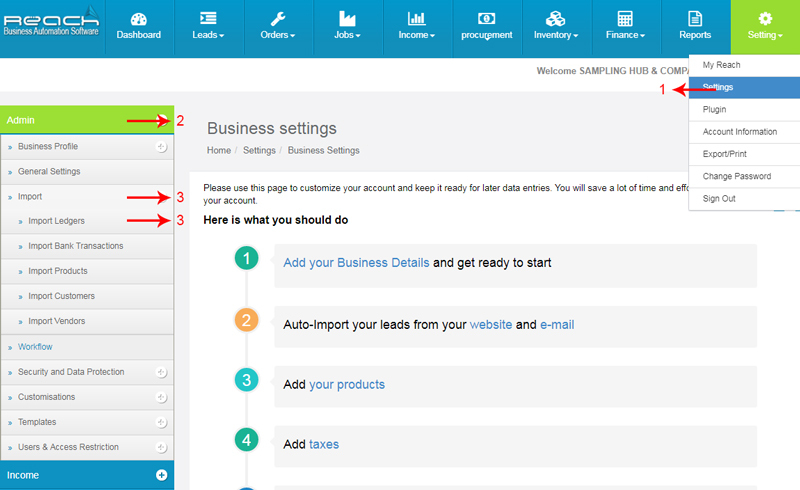 Now let us see how to set up your customers and vendors. Once you set-up your Customers and Vendors, You will also have to carefully map the designated ledgers to appropriate fields in the VAT Return. 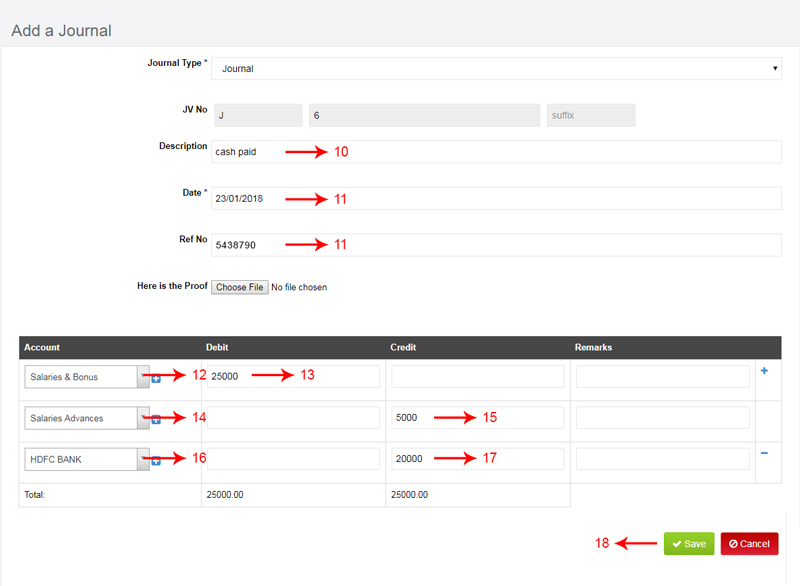 However, if you are creating new account ledgers, please make sure that you map the ledgers correctly. 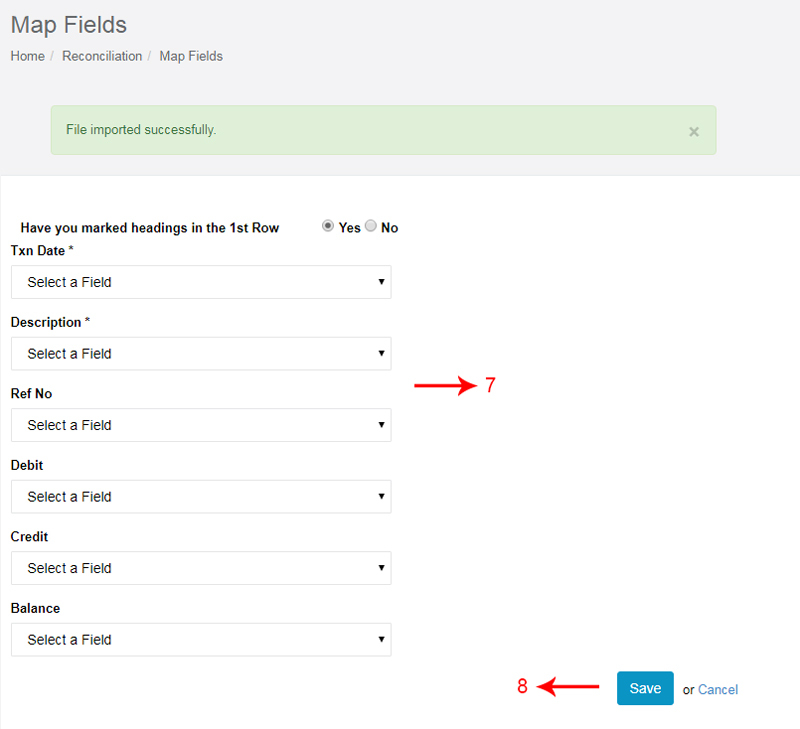 On doing so, the software will ask you to map the ledger to an appropriate field in the VAT Return. Now before I explain what this means, let me help you understand how a VAT Return is divided. Box 9: Supplies subject to reverse charge provision: If you are selling goods subject to reverse charge, map those ledgers here. Once you complete the mapping, your VAT Returns will automatically be populated with the respective figures as you finish your accounts. Click settings under settings tab. Click Create Templates under Income tab. Click add templates and create the new one. 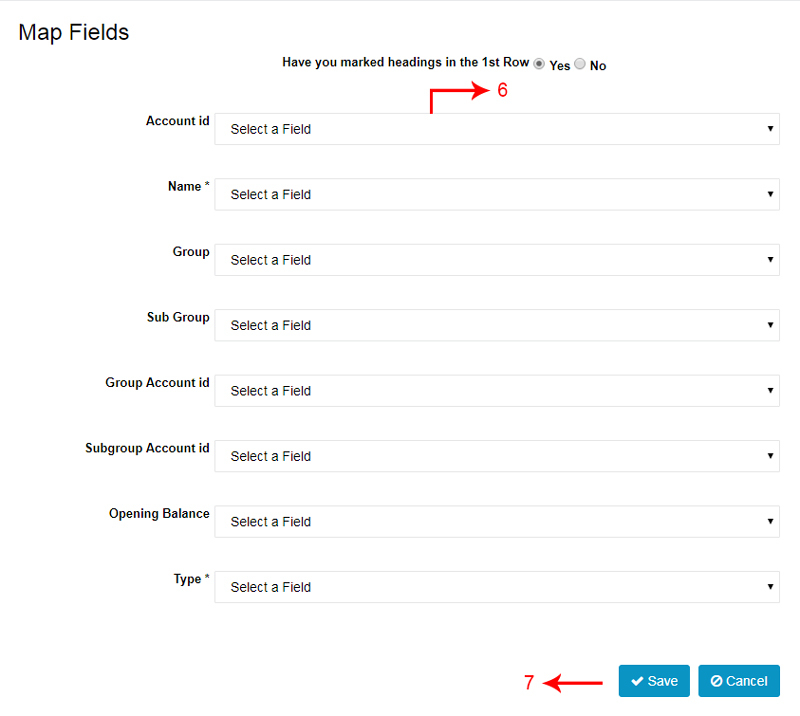 To change the Field Name you can Enter in Customized Label Name respect to Current Field Name. Choose the last financial year, in which all the closing balances will be the opening balance for current financial year. The names on the menus can be changed in Reach Software according to the way you would want to see it. For example, If you want to rename the “Income” Menu to “Sales” it can be done. This chapter shows you how it is done. Reach already has pre-designed 20 templates for use. 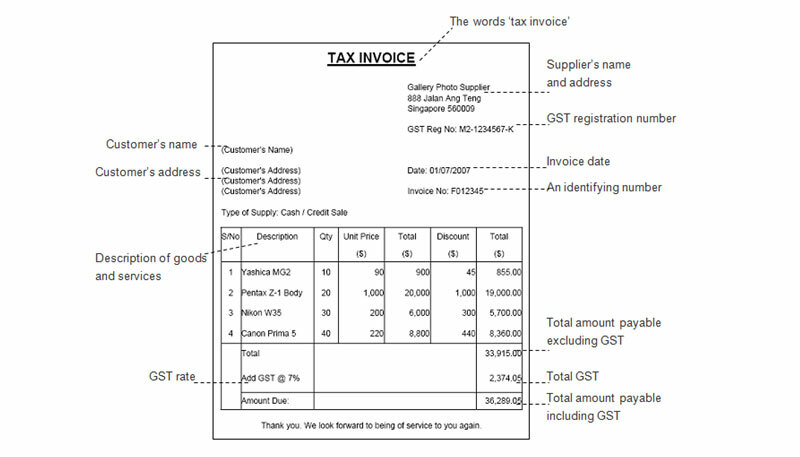 However if you are keen on designing your own Invoice templates, Reach also has an option to do that. This section will teach you how to design your own template. A receipt voucher is given when you receive money from a person. The money can be recieved as Cash, Cheque or as Bank Transfer. This voucher is the proof that payment has been received. Every receipt has to be recorded in the Accounting Software and has to be set-off against outstanding Invoices. This section is aimed at teaching how receipts can be recorded. Credit notes are issued to record Sales Returns or to provide discounts which was not declared at the time of making an Invoice. 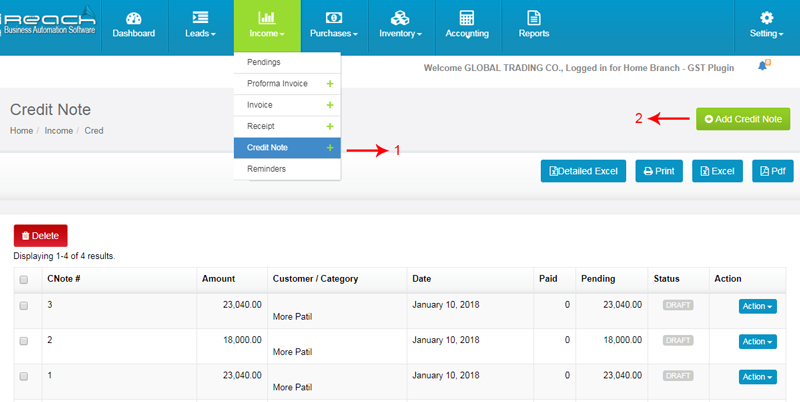 This section will teach you how to record credit notes using reach software. Tax Invoice is raised by a buyer to a seller in the normal course of business quantifying the terms of the purchase. Let Me Now Show You How Its Done. Go to View invoice under Action Tab. It will also auto-populate the relevant tax codes in the VAT forms so you will not have to prepare them manually later. First, Let me briefly explain what a Profit Margin Scheme is and then, I will teach you how this Invoice can be raised. Normally, Tax is calculated in the total sales value. However, If you have opted for Profit Margin Scheme, you can calculate the tax on the profit margin earned. As I explained earlier, If you are supplying any of the above goods, you have an option to choose the profit margin scheme or you can also choose the regular schemes. If you choose the margin scheme, you will not be allowed to claim input tax credits. The second section allows you to choose the products, description, quantity and value. Please note that you have an option to fill the assessable value or the profits made on the products. As you see, the Margin scheme Invoice will not display taxes separately. When goods or services are supplied from UAE to a person located outside UAE, the supply is called an export. Currently only UAE and KSA have implemented VAT in their countries. If any of these conditions are not met, then a normal Tax Invoice needs to be raised and the supply will be taxable. Though there is no mandatory requirement to raise an Invoice for exempt supplies, If you are supplying both taxable and exempt supplies, then it becomes important to divide these revenues in your books of accounts and also make sure that the input on exempt supplies in appropriately reduced, as you are not allowed to claim input on exempt supplies. For example if you are a builder, building both residential and commercial buildings, the supply of residential buildings will be exempt and the input on the same is not allowed to be set-off, so you will have to record the exempt supply separately. When you buy a good from your nearby supermarket, The receipt given to you is a Retail Bill. In the same way, when you book a ticket using the services of a travel agent, the transaction document given by him is called a Tax Invoice. When to raise an Invoice to your buyer? The answer to this lies in the nature of your business. What is the format of an Invoice? How to raise an Invoice using Reach Accountant? Now I will show you how to raise a Tax Invoice using Reach Software. Once you have setup your Invoice, you can then start creating Invoice for your customers. 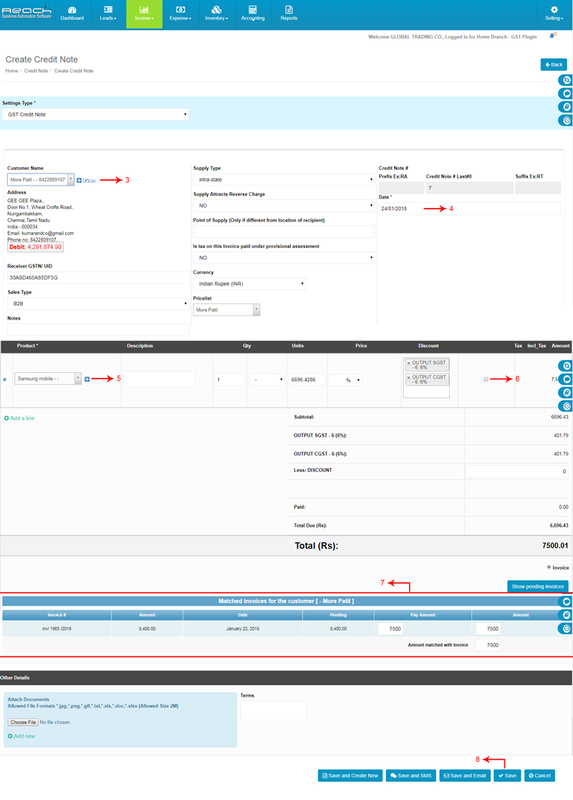 Reach Software provides you a unique option to design Invoices the way you like it. You can either choose to use over 20 pre-designed templates or you can design one yourself. Let me now show you how to design your Invoice. Step 4 – Once done, you can save the template. 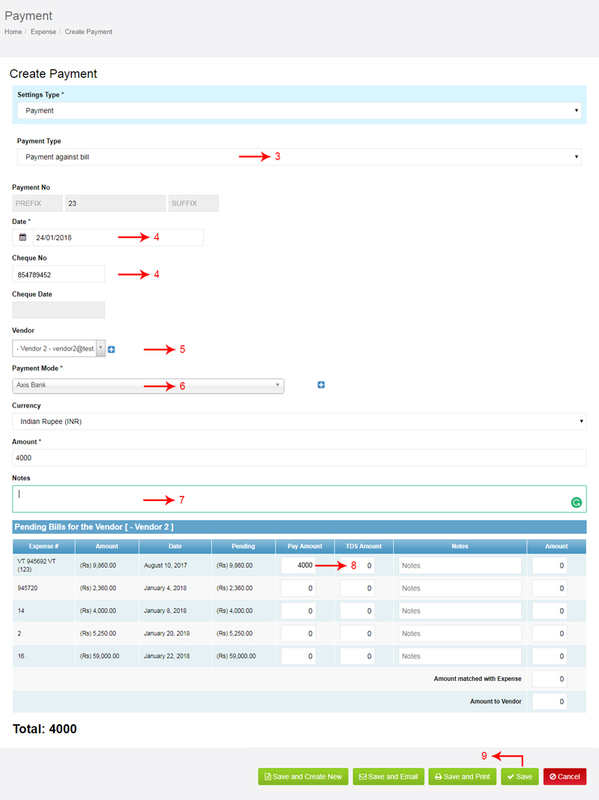 Now I will show you how to set-up the Invoice parameters. 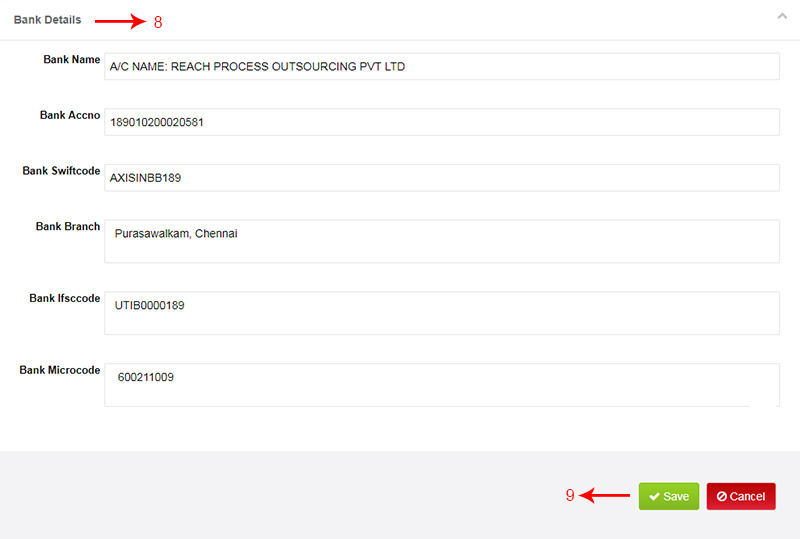 You can choose to create multiple Invoice sequences also in Reach Software. 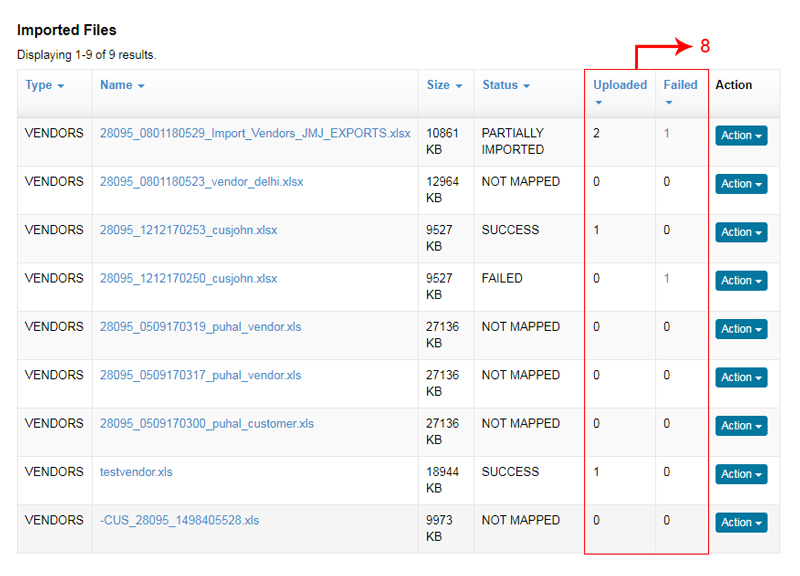 For example, you can create a different sequence for Export Invoices and another sequence for Local Invoices. Let’s see how to create a Invoice Sequence. 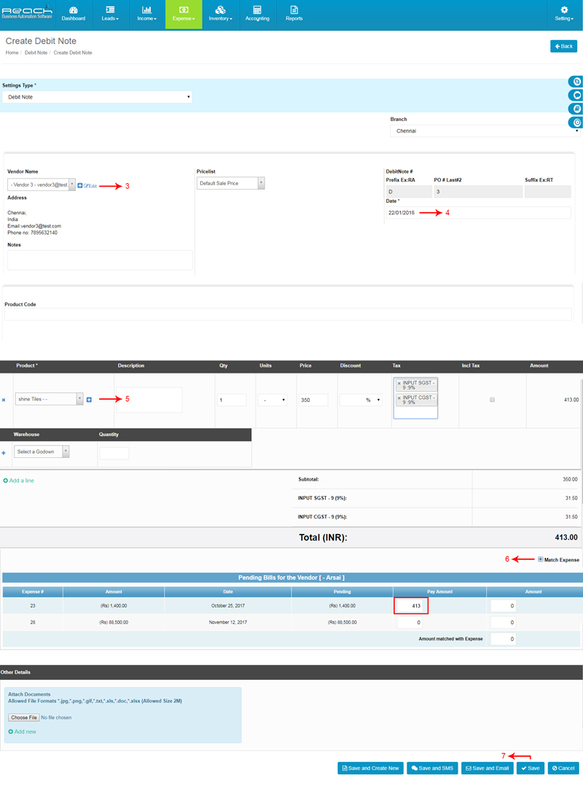 Assign the Invoice template to a branch and provide a Template name. 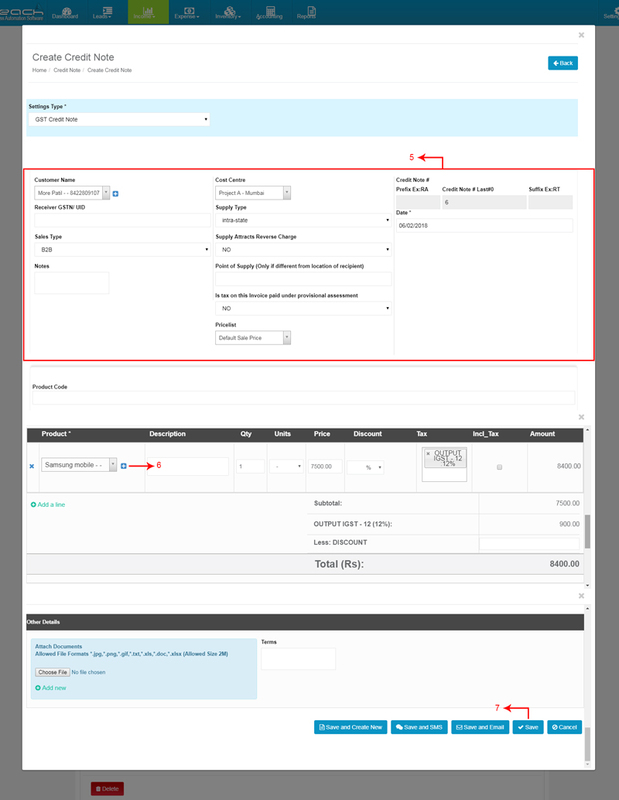 Choose the Invoice design from the dropdown. You will see the design created by you in the list. Choose the designed Invoice. 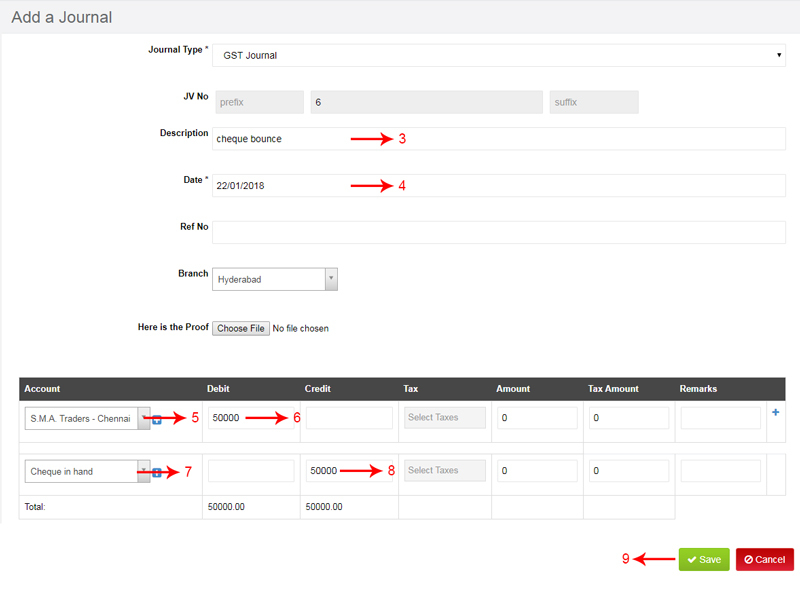 Now you can further add parameters relating to Taxes. 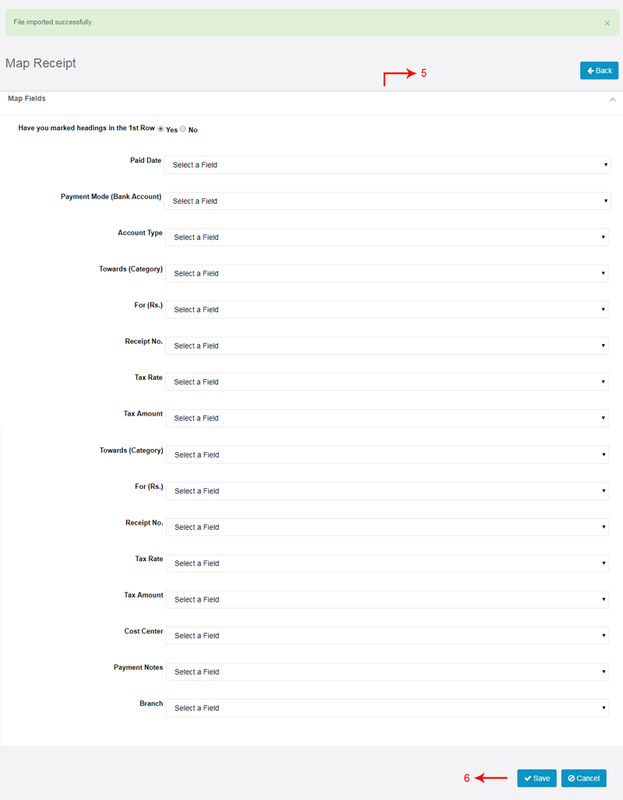 Once that is done, you can assign a pre-filled pricelist to this template if that is relevant. 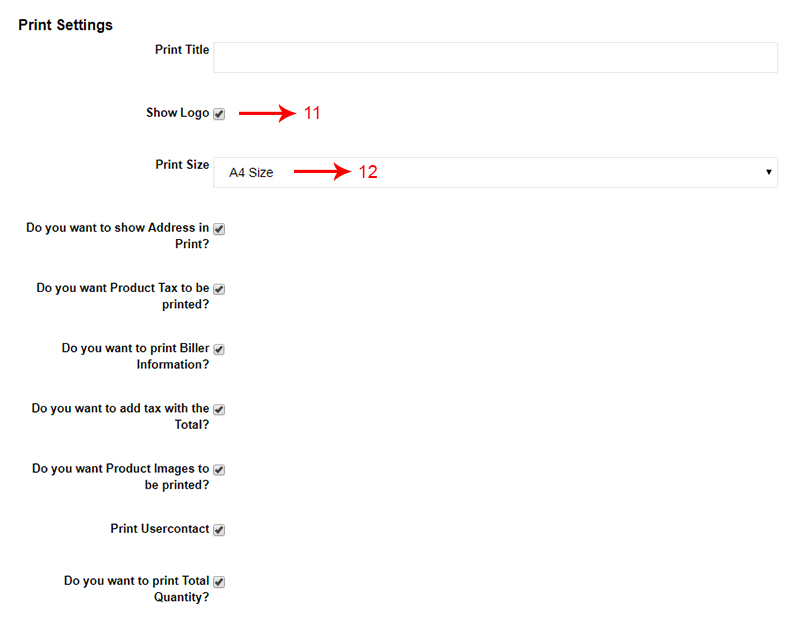 A pricelist is created separately if you have differential pricings for customers divided by type or geography. I will teach you about the pricelist in a separate video. Once you assign a pricelist, you can configure the decimal points for this Invoice template. 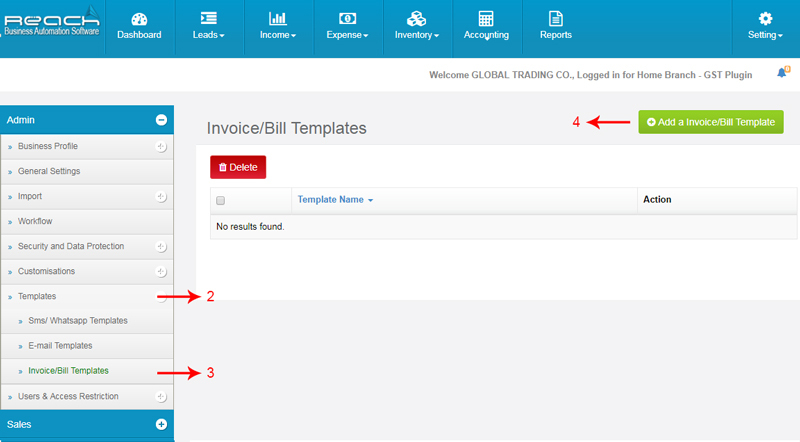 You can also pre-set the type of Invoice and assign it to a specific account head. Following which you can pre set the terms and notes. Please note that you can also choose to add these details at the time of voucher entry. 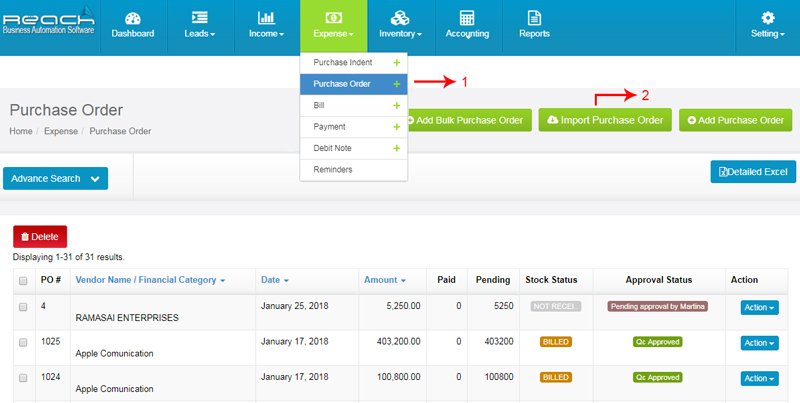 Now, you can add additional columns and fields to your Invoice. Let me show you how. 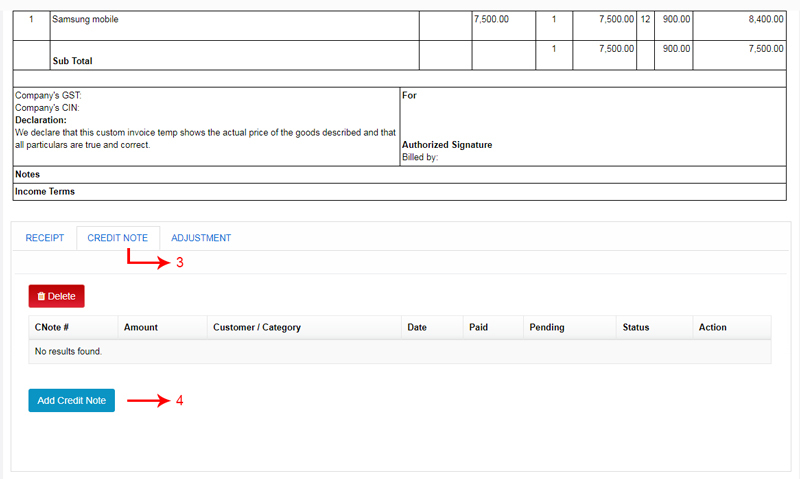 The above the line columns can be added here and this will reflect here in the invoice. Below the line columns can be added both as an addition item or a subtraction item and will reflect in your Invoice like this. 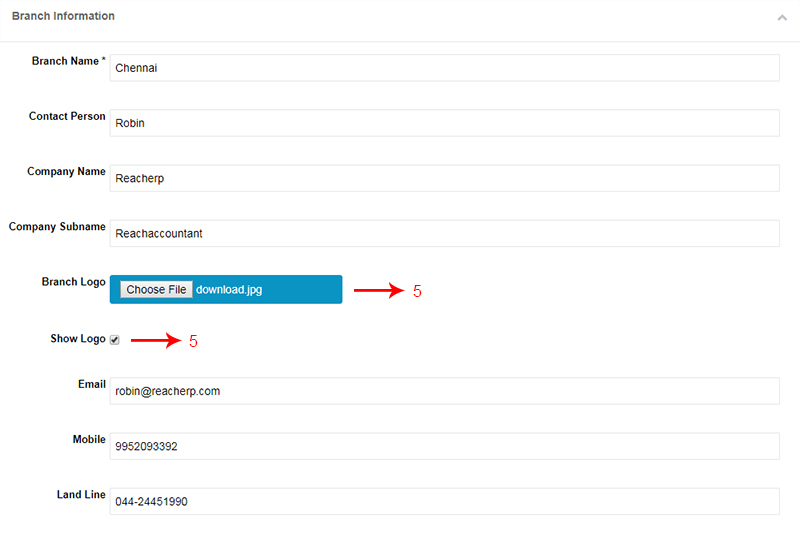 Now you can choose your email and print preferences. You can choose the size of the paper which you will use to print your Invoice and also decide on the number of copies you choose to print. Finally, you can choose if this is a default template Once done, you can now save it. 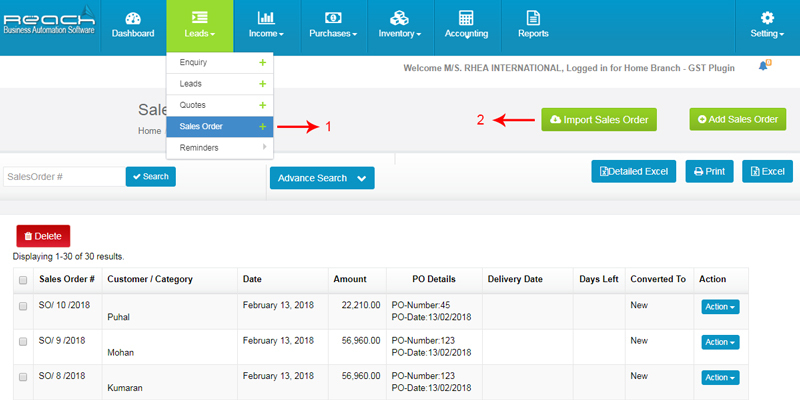 Now that you have set-up your Invoices, you can start creating and issuing Invoices to your customers using Reach Software. Let me now show you how. 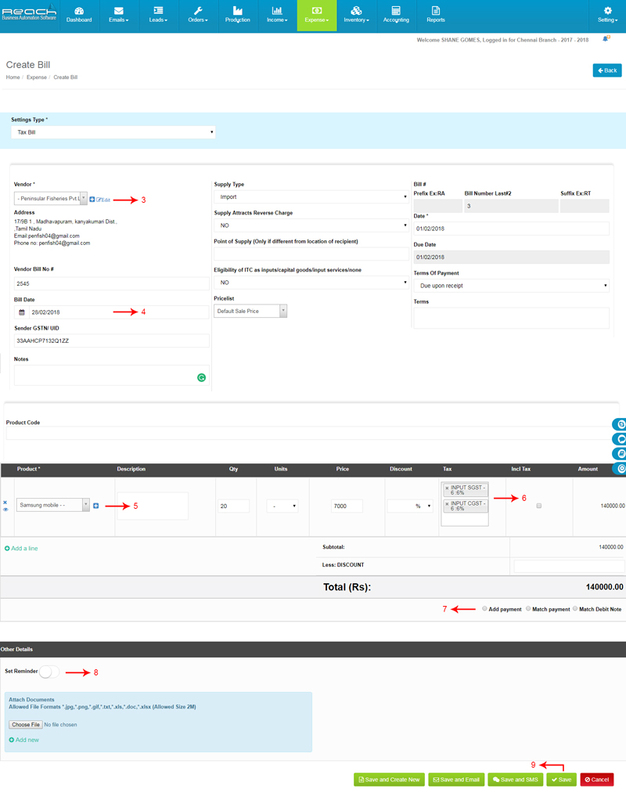 The Invoice will have three segments, The first segment shows details and type of the Invoice. The second shows the Billing particulars and the last segment shows other key details. Let us now raise a sample Invoice. Choose the customer to whom you are raising an Invoice. 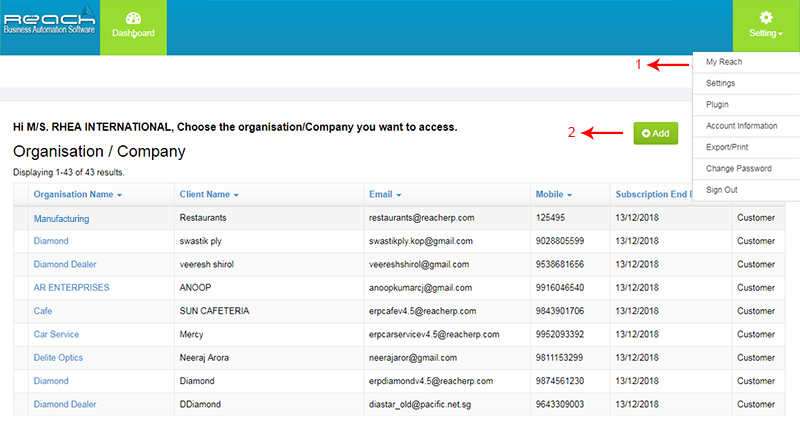 You can add the details of the new customer by clicking on the “+” button near the customer field. 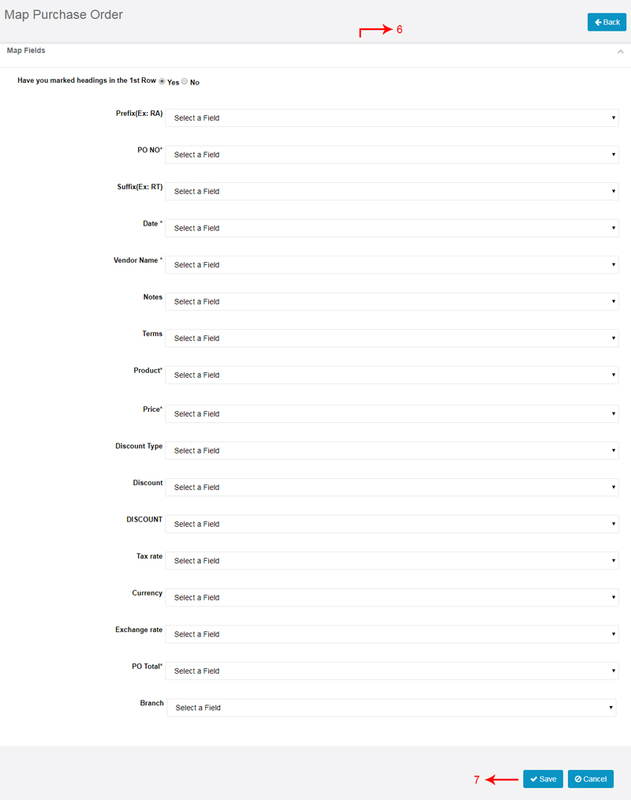 Once marked, you can start adding all the products which you sell in the Invoice now. while adding products, you can add discounts and choose taxes. Once an Invoice is completed, you can now create a receipt for the Invoice or adjust the Invoice against advance payments or outstanding credit notes. 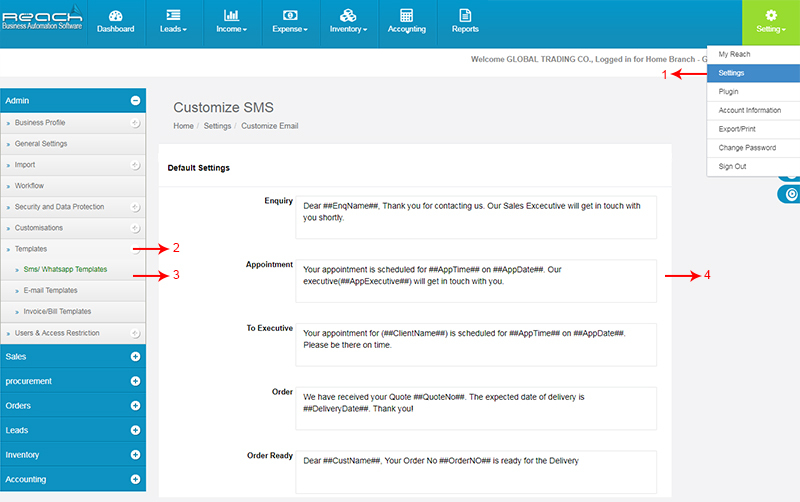 Reach also has the option of pre-setting reminders for your Invoices through email and sms. Now your Invoice is completed and ready to be sent to your customer. You can print the Invoice and send it to your customer. Alternatively you can also choose to email, sms or whatsapp the Invoice directly to your customer. Once you save the Invoice. The Invoice appears in the list of Invoices. The Invoice shows the payment and the shipment status. 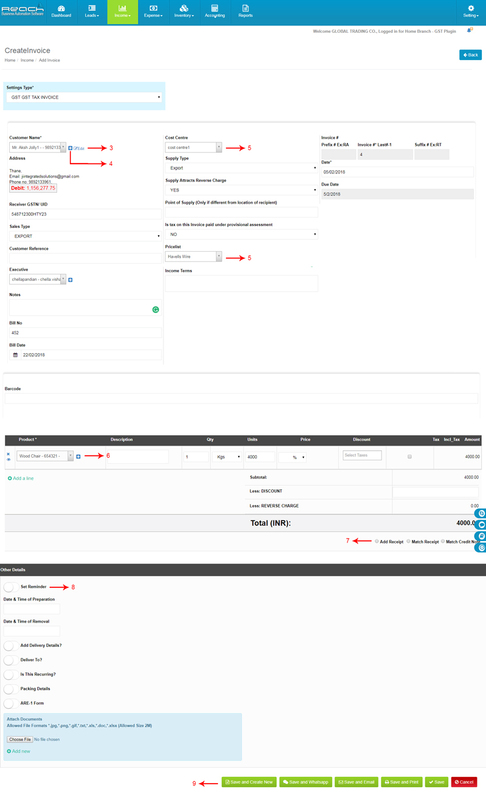 You can do further changes to the Invoice from the Action Tab. A receipt voucher is given when you receive money from a person. The money can be recieved as Cash, Cheque or as Bank Transfer. This voucher is the proof that payment has been received. In most of these scenarios, the payer will request a receipt from you. How to raise Receipt Voucher using Reach ? Now that you know what is receipt voucher and when it is issued.Let us see, How to raise a receipt voucher using Reach Accounting Software. A direct receipt voucher is made to acknowledge a cash sale, sale of an asset or any other windfall receipts. This attracts taxes as well so its important to record this in reach. Receipt can be made as cash, cheques or by bank transfers. Now let us see how a direct receipt voucher is made. Go to receipt under income tab. Select the direct receipt in payment type. Now select the sales in account and give the amount. 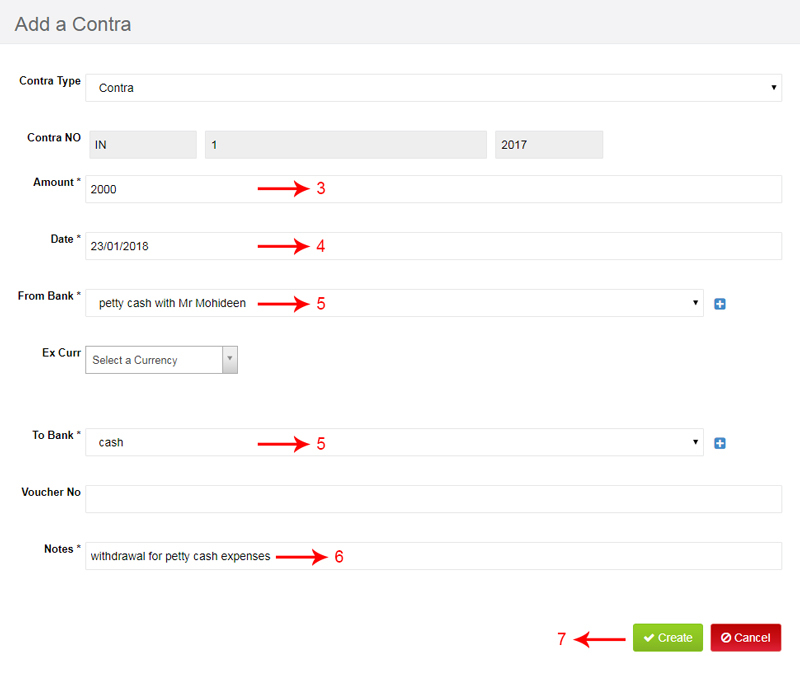 In case you like to add taxes to the payments made, make sure the taxes are enabled while creating an accounting ledger. Add a notes for your reference. A payment against invoice is made towards a credit invoice raised earlier to adjust the customer account for balance payments. 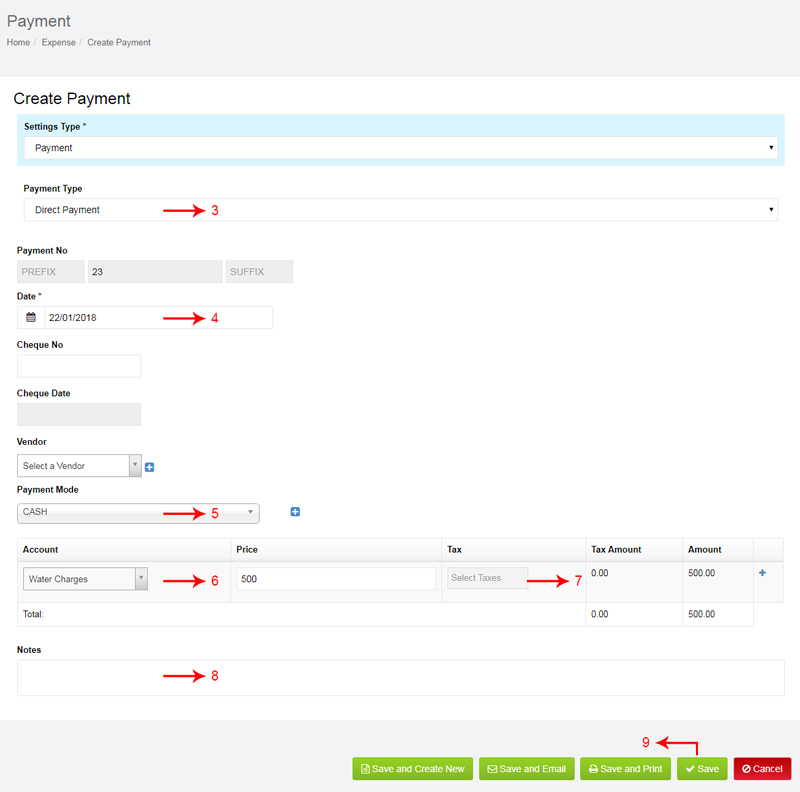 Select Payment against Invoice in payment type. Add a note for your reference. 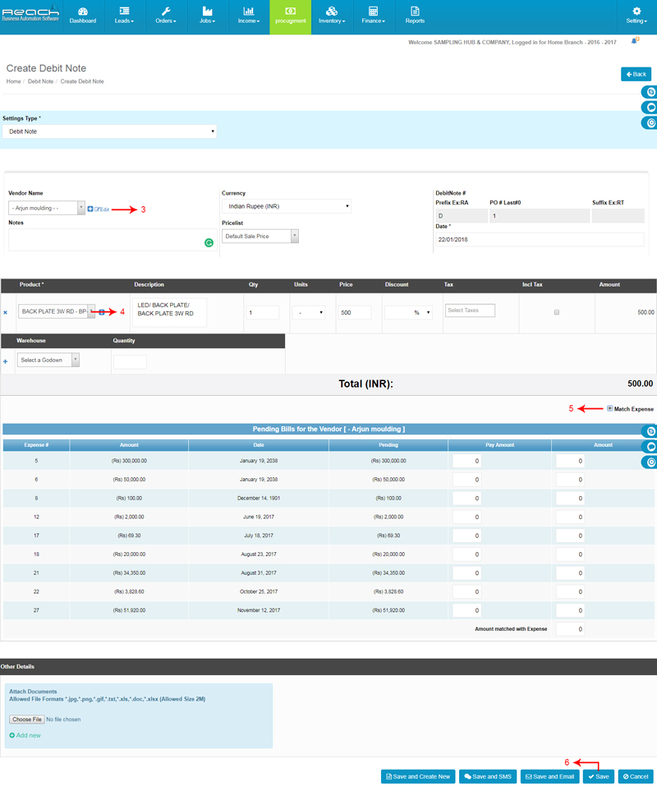 Reach automatically open and display all the outstanding invoices for that customer. Make sure you adjust each of the invoice which needs to adjusted. Click save. Payment added successfully. Manytimes advance payments are made in the course of normal trade. Such advances are adjusted against future invoices of the customer. Now let me show you how advance payments are recorded in reach. 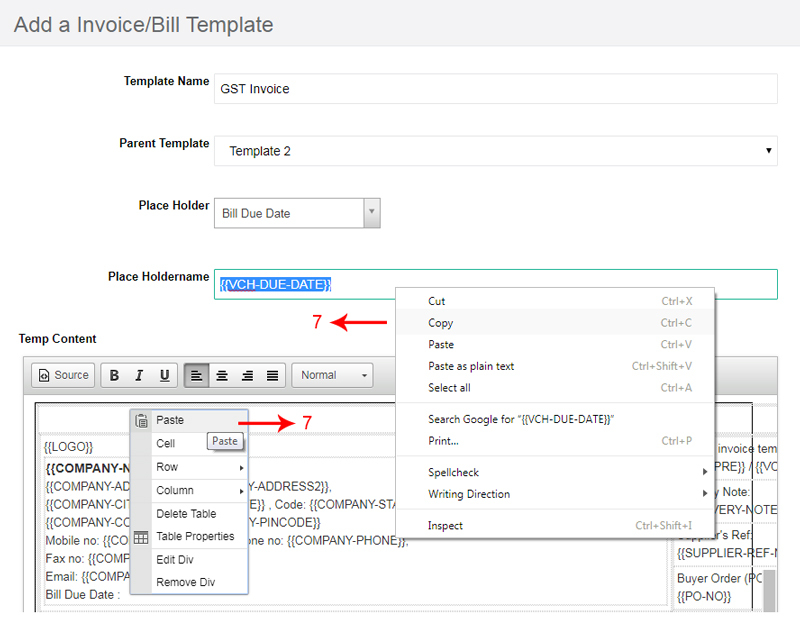 Select for advance against invoice in payment type. Select the tax .After GST, these advances also attract taxes and hence it becomes important to record advances promptly. Click save Payment added successfully. 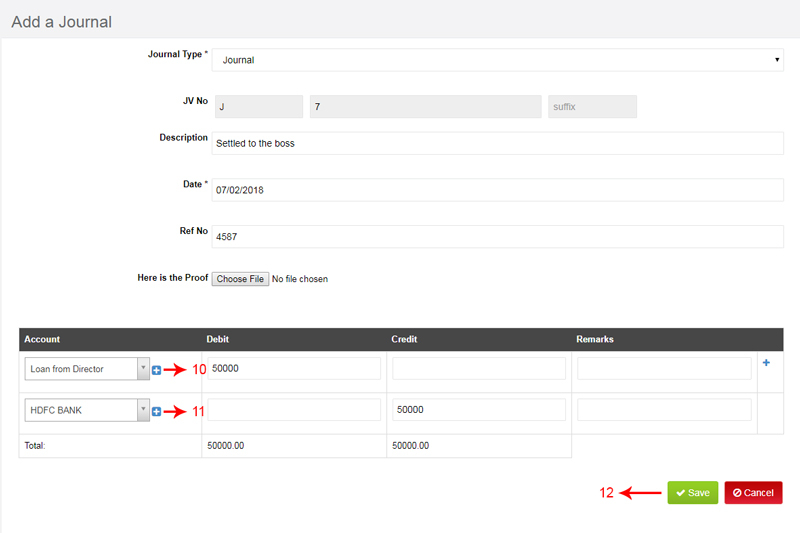 Reach automatically creates relevant accounting entries in the Daybook, ledgers, Financial and Tax Statements as well, so you can save time on separate accounting entries. 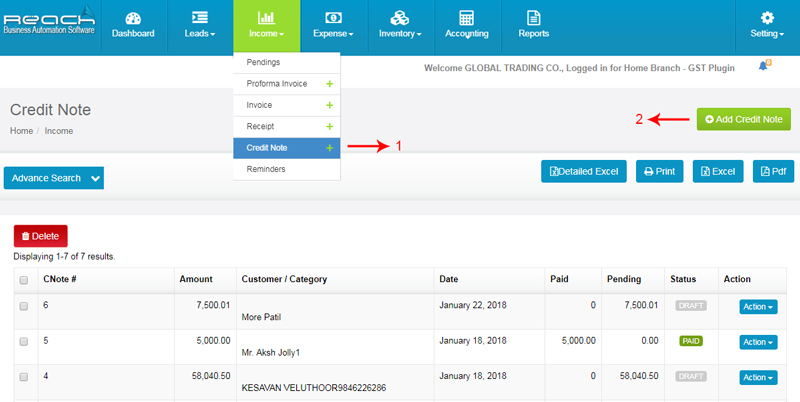 How to prepare a credit note in Reach Software? When you return your goods to a nearby store, the shopkeeper sometimes would give you a receipt which you can use to exchange or set-off against future purchases. This receipt is known as a credit note. Credit notes can be adjusted against current outstanding Invoices or might be allowed to be set-off against future Invoices. Sometimes, it might be followed with a cash refund too. Go to credit note under income tab. click on add credit note. Choose the customer to whom you are raising an credit note. 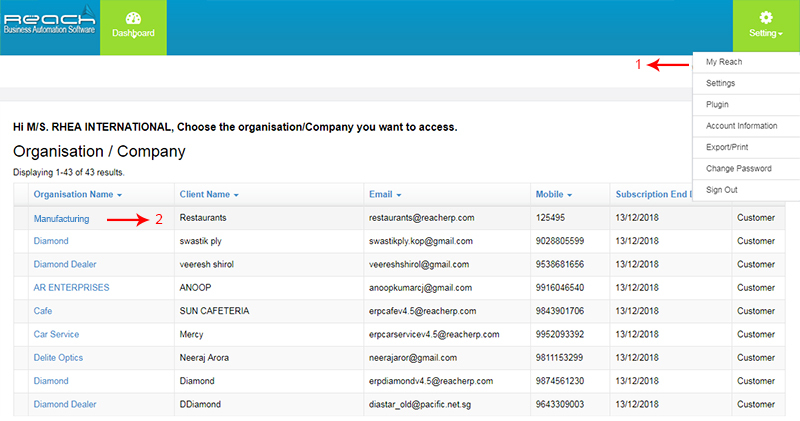 Reach will automatically populate the customer’s details. 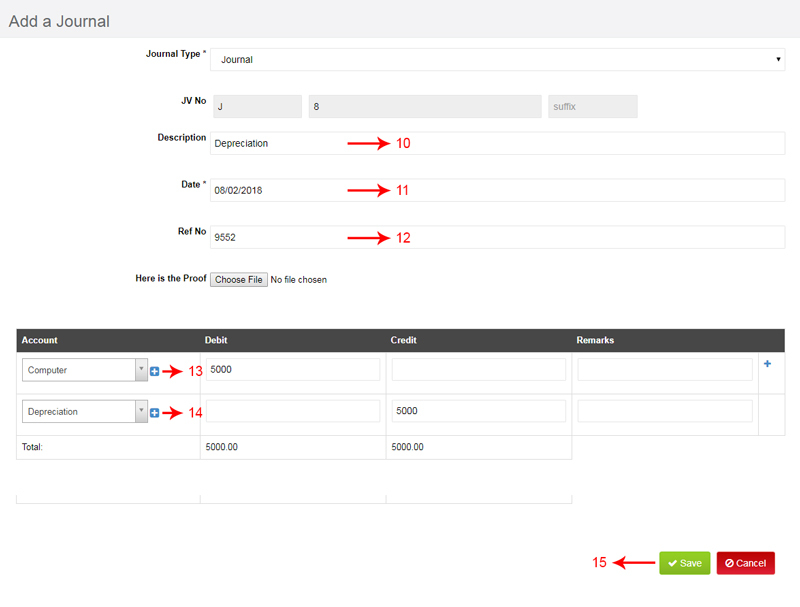 Reach automatically open and display all the invoices for that customer. Make sure you adjust each of the invoice which needs to adjusted. Click invoice under income tab. Click view invoice and scroll down. Now credit note page appears. Reach will automatically populate the customer’s details. Go to action button and click add payment. Now payment page appears. Add payment details. Purchase returns are recorded using debit notes. Debit notes adjust the supplier ledgers and also adjust the inventory accordingly. These vouchers have to be recorded in Reach. This section will teach you how. A Taxable purchase is the purchases which you make locally of goods or services. Go to View Bill under Action Tab. Normally, in the due course of business, your supplier will raise Invoices to you which is recorded in your software. However, in some cases it might not be practically possible for him to raise an Invoice and you will raise a bill on his behalf vis-à-vis an agreement you get into. For example, In case of oil supply where there is wastage or evaporation and hence the quantity can only be determined at the time the goods reach your business place. 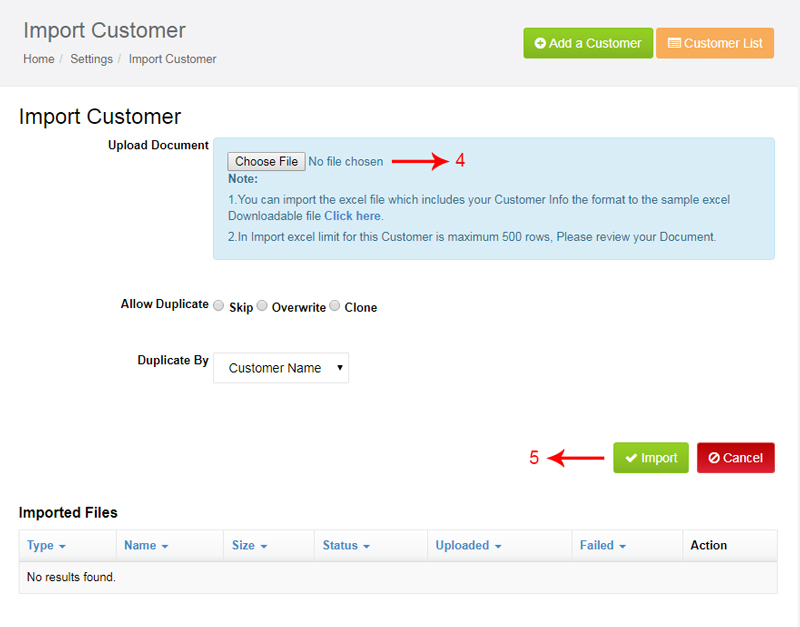 Recording an Import of Services is more or less the same as recording any other purchase. The key difference is in the application of Reverse Charges on the purchase. Normally, the responsibility to levy, collect and pay tax to the government is on the person who is making taxable supplies i.e. on the supplier. This is known as forward charge mechanism. However, In case of imports and on purchase of certain specified goods, the responsibility of paying taxes is on the recipient. This is known as Reverse Charge mechanism. Recording an Import of Goods is more or less the same as recording any other purchase. When you buy goods in the due course of business, you supplier raises an Invoice demanding a payment for the same. The Invoice generally specifies the payment terms and taxes for which Input credit can be claimed. This Invoice needs to be recorded in the Accounting Software as soon as it is raised. Recording the Invoice helps you understand your Financial Status correctly. 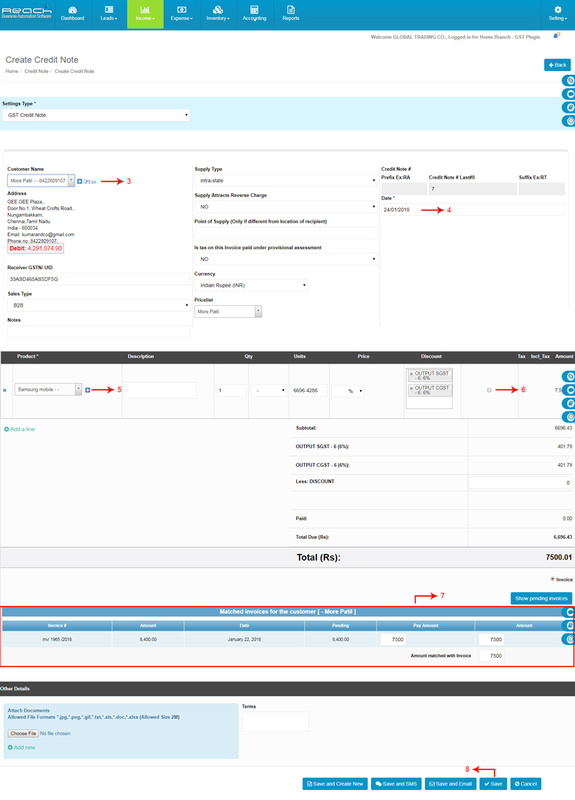 Let me now show you how a supplier Invoice can be recorded in Reach. Go to Bill under expense tab. Once marked, you can start adding all the products. 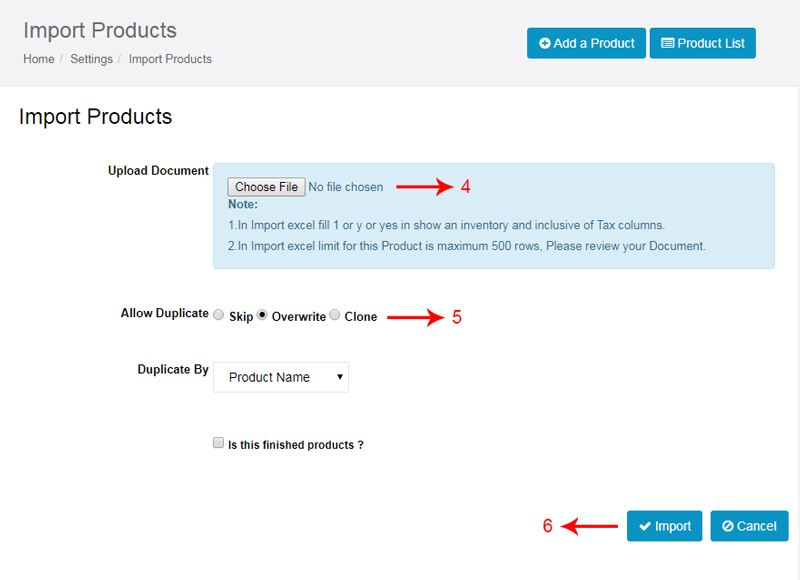 While adding products, you can choose taxes. Reach also has the option of pre-setting reminders for your bills through email and sms. In the course of business multiple payments are made everyday. For example, Payments are made for Salaries, Travelling and Other office expenses. Payments are also made towards buying assets for the business. Payments can be made towards a current expense, as an advance to a supplier or towards an outstanding supplier Invoice. Payments are mostly made in cash, cheque or as Bank transfers. Everytime a payment is made, A voucher has to be prepared in the accounting software and be attested by the payee. This is to have a proof of payment for audit and tax reasons. 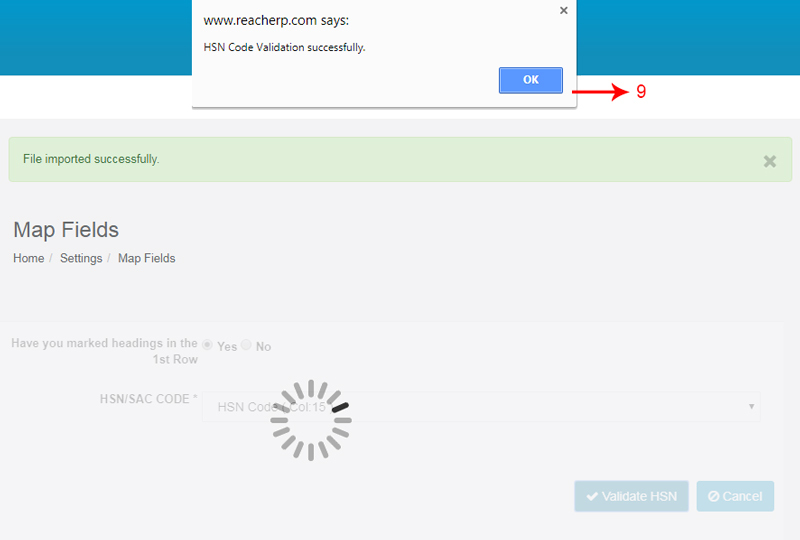 How to raise a payment voucher using Reach Software? Now that you know what is Payment voucher and when it is issued.Let us see, How to raise a Payment voucher using Reach Accounting Software. There are three types of payment voucher. First, I will show you how a Direct Payment Voucher is made. You should create a direct payment voucher for recording cash expenses like travelling, office expenses and wages. Now let see how to raise direct payment voucher. Go to payment under expense tab. Select the direct payment in payment type. Select date and payment mode. Now select the expense in account and give the amount. Now Click Save. Payment added successfully. Next, Let us see how a payment against a previously recorded bill is made. 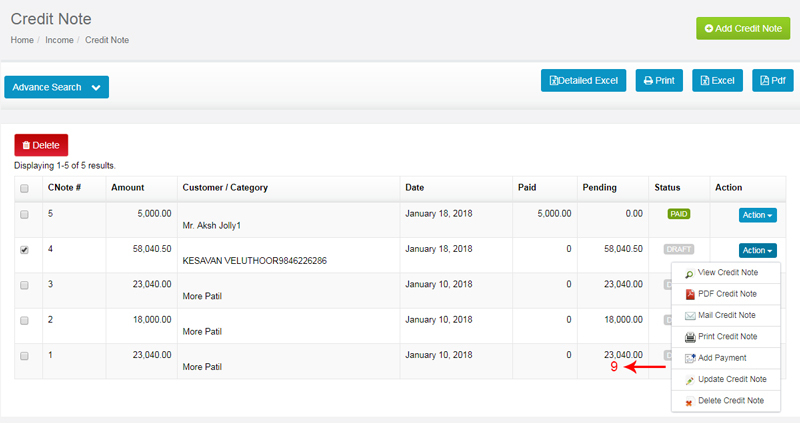 Such payment is made if the supplier has issued a bill already which has been recorded in Reach Software and subsequently payment is made on the due date. 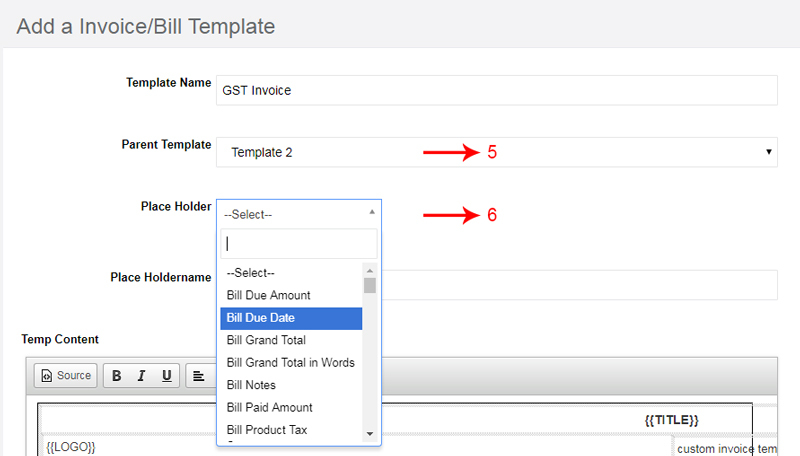 Select Payment against bill in payment type. Give the cheque no and date. Now adjust the amount here. Now let us see how an Advance made against an expense is recorded in Reach Software. In the course of business, we might come across a scenario where we make some advance payments to suppliers which gets adjusted later when the supplier sends a bill. Select for advance against bill in payment type. 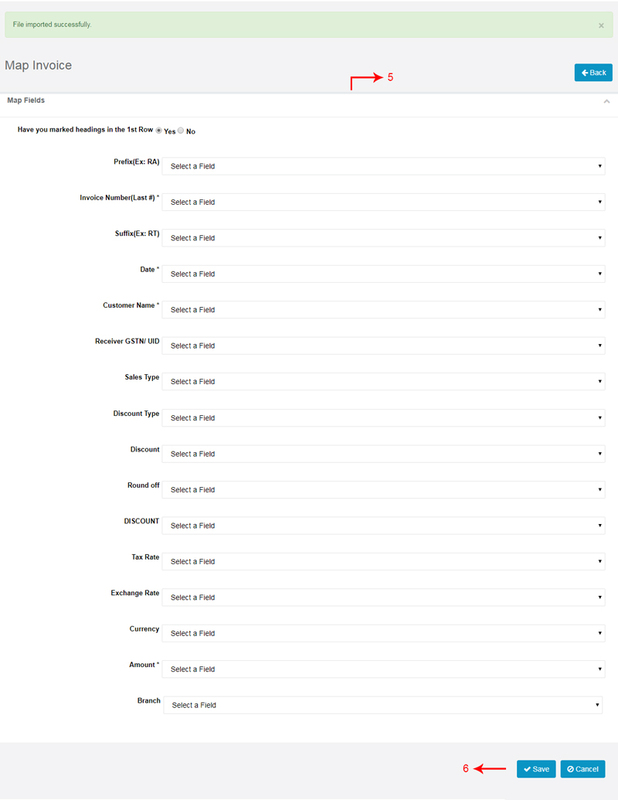 Once Bill are made, the Collection Report gets updated automatically in Reach. The Overdue bill reports are adjusted too. What is a Debit note? When is it issued? In the course of business, many times we return the goods purchased from the supplier. Debit notes can be adjusted against current outstanding supplier bills or might be allowed to be set-off against future Bills. Sometimes, it might be followed with a cash refund too. 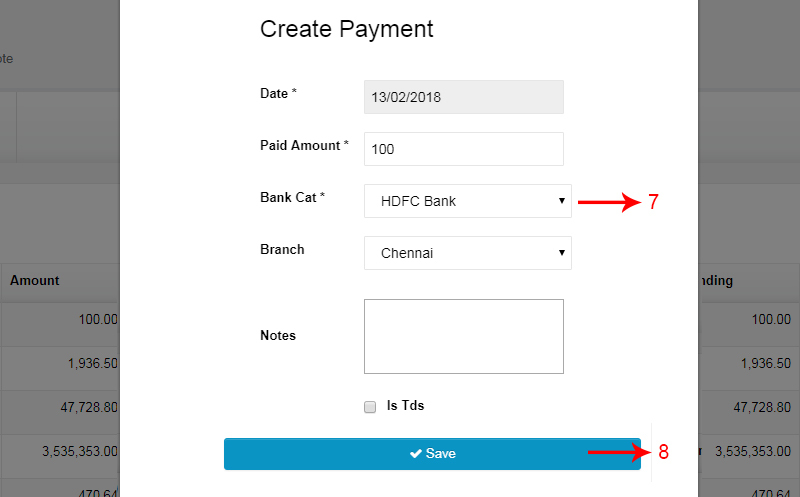 Go to debit note under expense tab. Click on add debit note. Choose the vendor to whom you are raising an debit note. 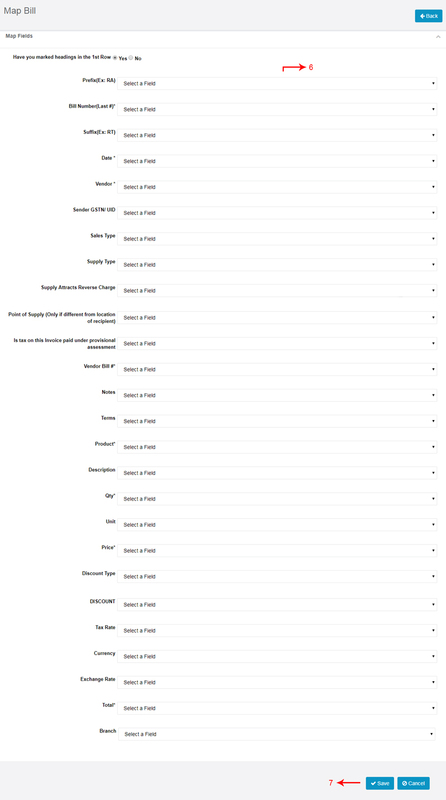 Reach will automatically populate the vendors details. Enable the checkbox to match expense. Reach automatically open and display all the Bill for that vendor. Make sure you adjust each of the bill which needs to adjusted. 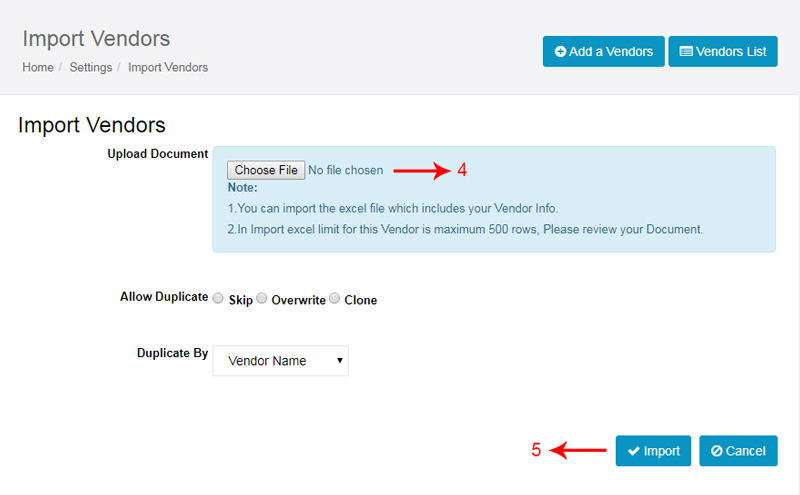 Select vendor name and Date. 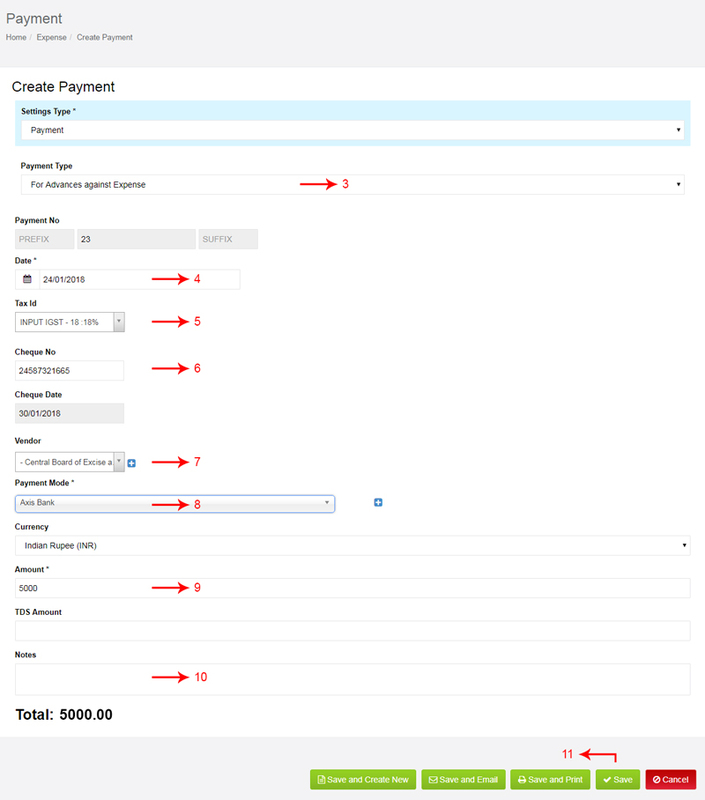 Enable the checkbox.Reach automatically open and display all the Bill for that vendor. Make sure you adjust each of the bill which needs to adjusted. Go to action button and click add receipt. Now payment page appears, add payment details. In the normal course of business, you will be depositing Cash and Cheques collected from the customer into the Bank Account. This needs to be recorded into the Accounting Software. 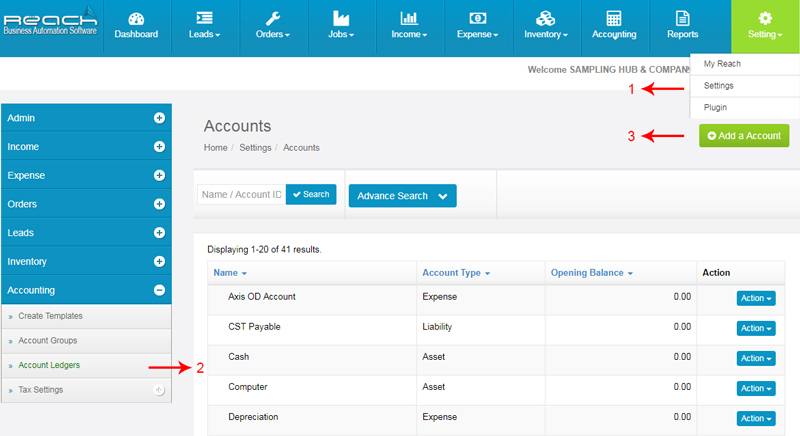 This section will show you how a bank deposit is recorded in Reach Accounting Software. Often, Cash is withdrawn from the Bank account for Petty Cash Expenses or to make other payments in Cash. When Cash is withdrawn from the bank, It needs to be recorded into the Accounting Software. 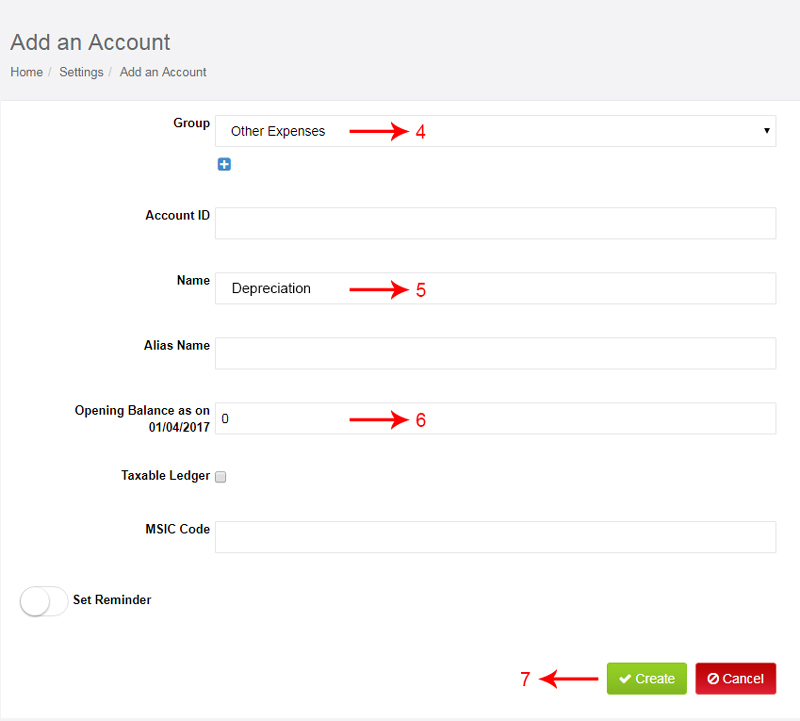 This section will show you how a Bank withdrawal is recorded in Reach Accounting Software. Since we record every cheque which is deposited into the bank, it is important to reverse it if the cheque issued by a customer returns from the bank. This means that the customer account has to be reversed and the Bank balance reduced. 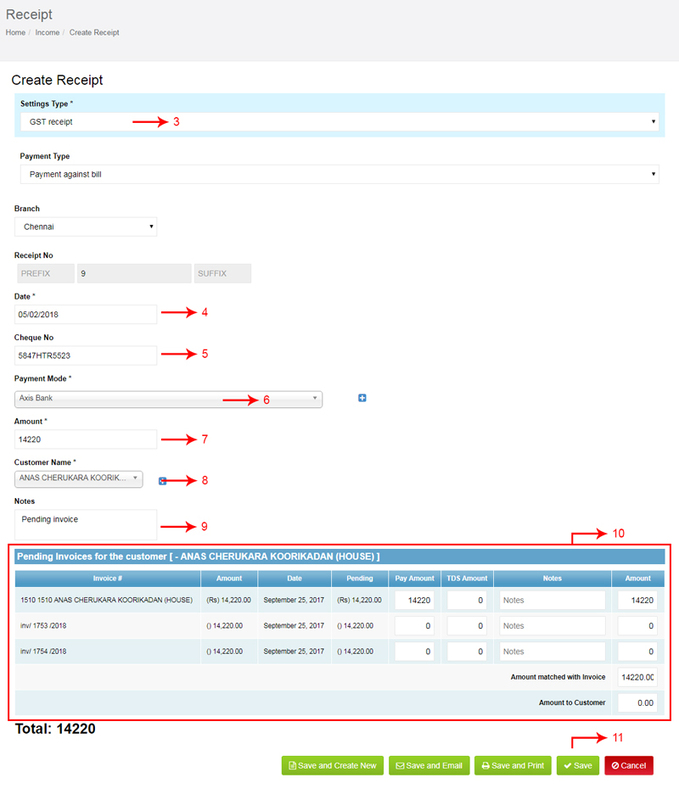 This section will show you how a Cheque return is recorded in Reach Accounting Software. The Balance shown in the Bank Ledger of the software and the Actual Balance in the Bank does not tally often. 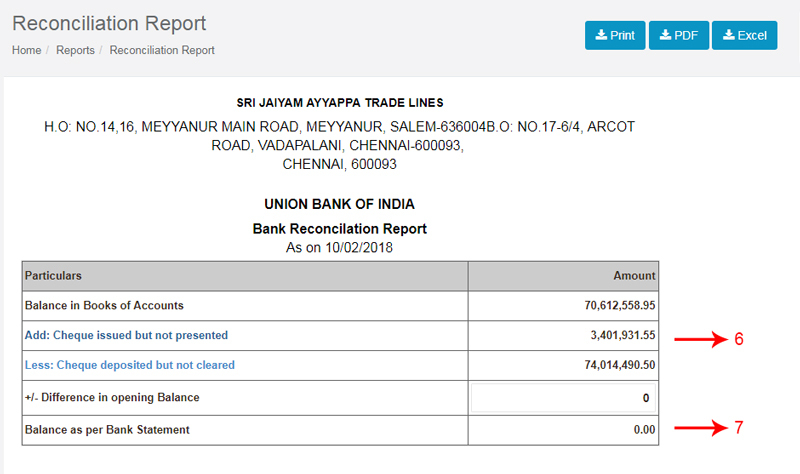 At the end of every month, it is habitual to do a Bank Reconciliation to ensure that these transaction are accounted and to ensure that the Bank Account shows a true and correct picture. This section shows you how reconciliation is made. 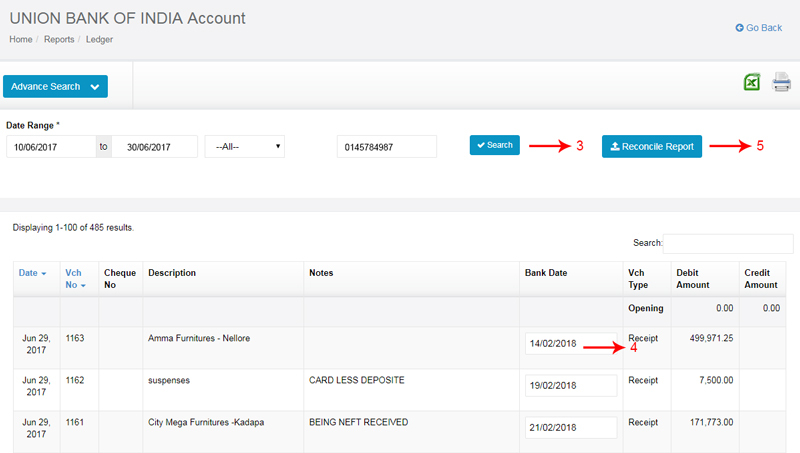 Let me now show you how a bank deposit is recorded in Reach Accounting Software. Go to contra under account tab. From cash and To Bank name. Click create. Payment Deposited successfully. Select from bank name and To cash. Since we record every cheque which is deposited into the bank, it is important to reverse it if the cheque issued by a customer returns from the bank. This means that the customer account has to be reversed and the Bank balance reduced. 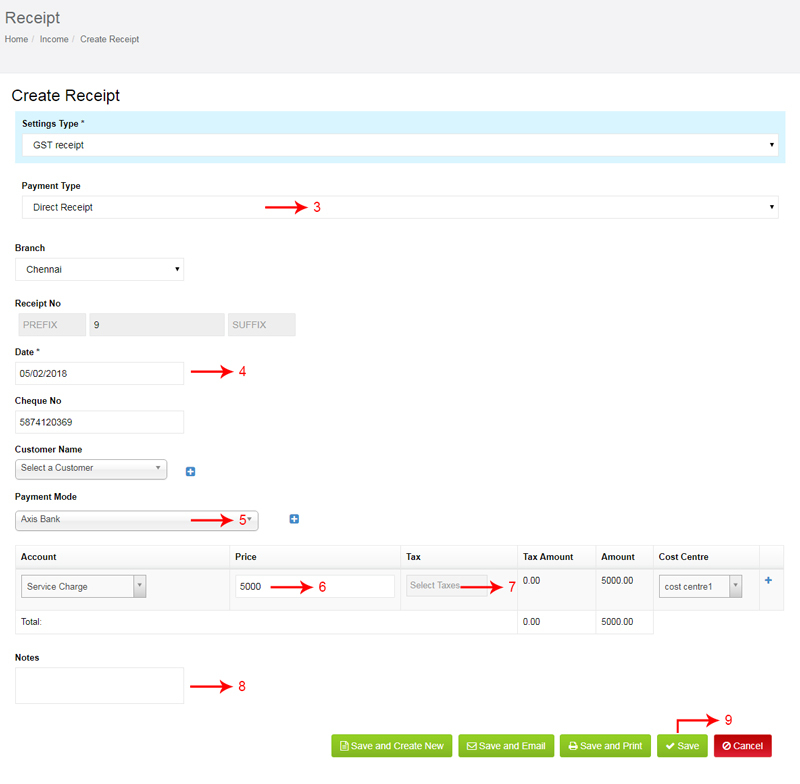 Now, I will show you how a Cheque return is recorded in Reach Accounting Software. 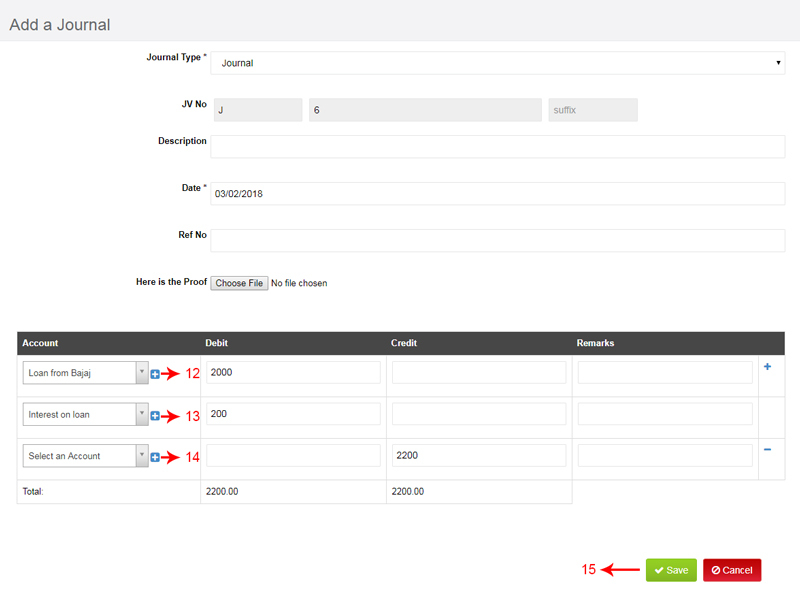 Go to journal under accounting tab. Select cheque in hand ledger. The Balance shown in the Bank Ledger of the software and the Actual Balance in the Bank does not tally often. The time delay on the deposited cheques to be cleared. The time delay on the issued cheques to hit the account. Bank charges levied by the Bank. At the end of every month, it is habitual to do a Bank Reconciliation to ensure that these transaction are accounted and to ensure that the Bank Account shows a true and correct picture. Click Bank Reconciliation Report under Accounting Reports. Search date and cheque number. Here you can see the total number of cheques. i.e., Cheque issued, cleared and non cleared . Finally you can see your “balance as per bank statement”. Advance are given to staff as a Loan or towards expenses to be made on the companies behalf. These advances are adjusted against salaries or on producing payment vouchers. 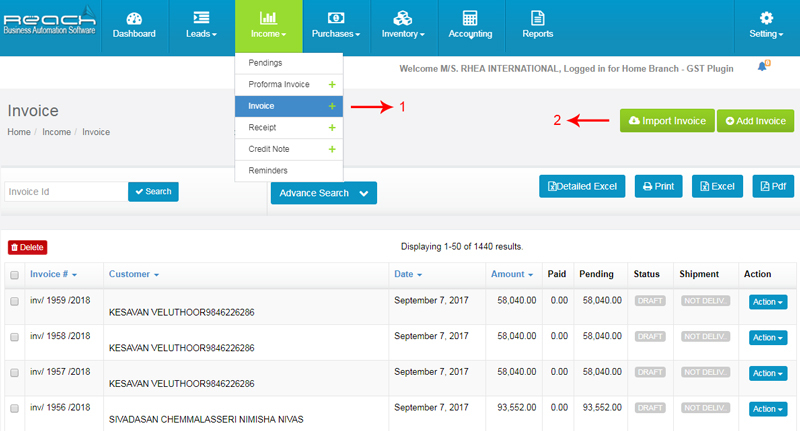 This section will teach you how these transactions are entered into reach. Drawings or expenses made by owners have to be recorded appropriately in Reach. This section shows you how these payments can be recorded into reach. In the normal course of business, you will be issuing Advances to your Staffs against Salary or for Expenses. This needs to be recorded into the Accounting Software. 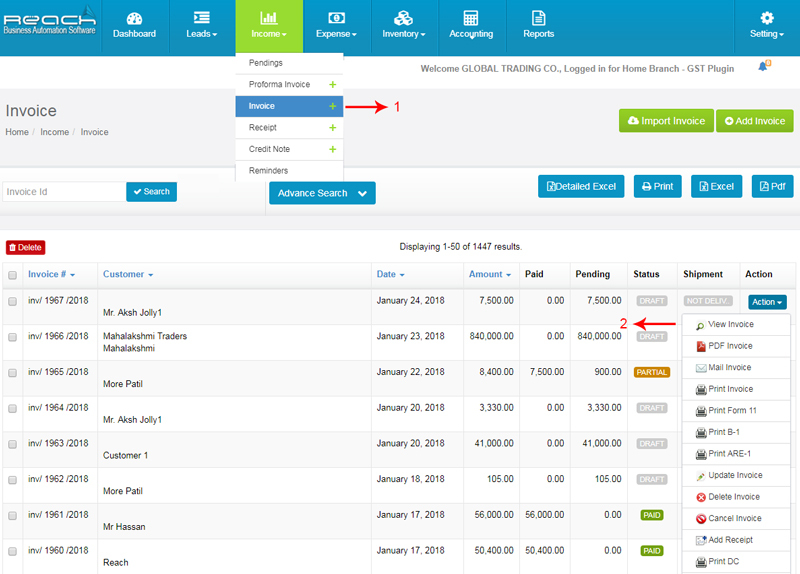 Let me now show you how a Staff Advance is recorded in Reach Accounting Software. Add a Description for your reference. 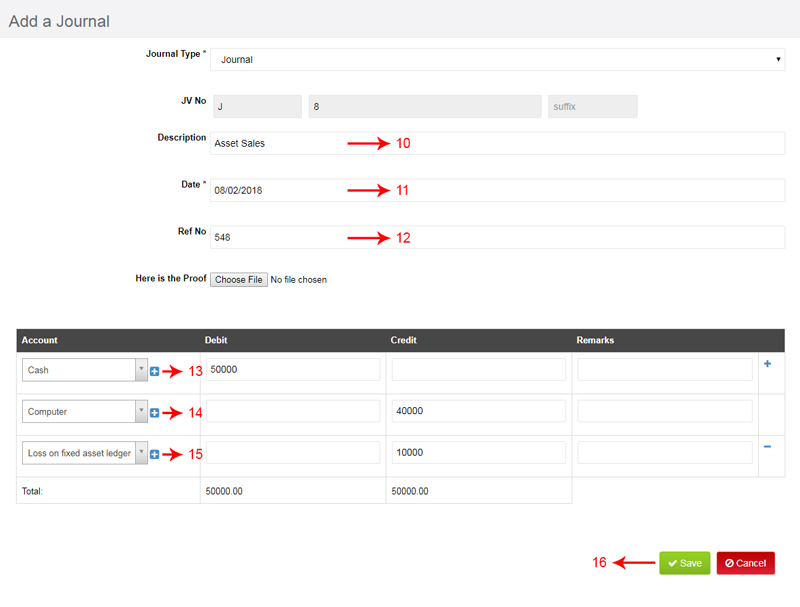 Select Salary ledger and add Total salary amount under debit column. 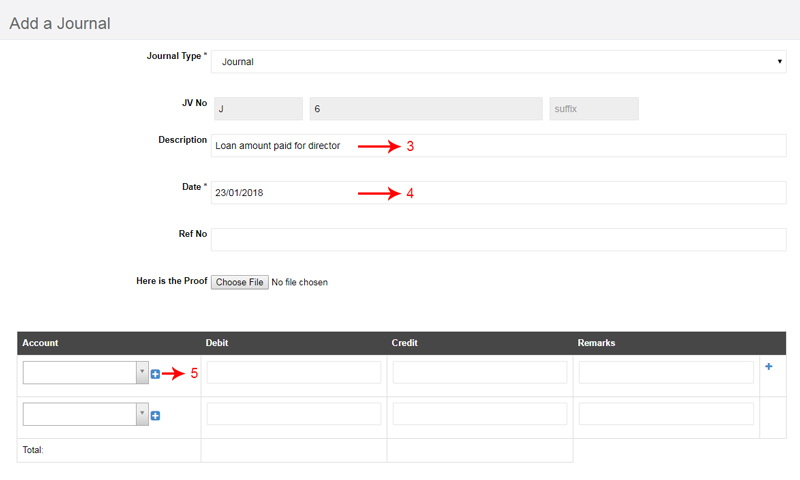 Now Select bank or cash and add amount under credit column. The PF and ESI due is recorded in Reach Software as explained in the previous segment. Payment of PF or ESI is done using a regular payment voucher. You can add the details of the new Ledger by clicking on the “+” button near the Ledger field. 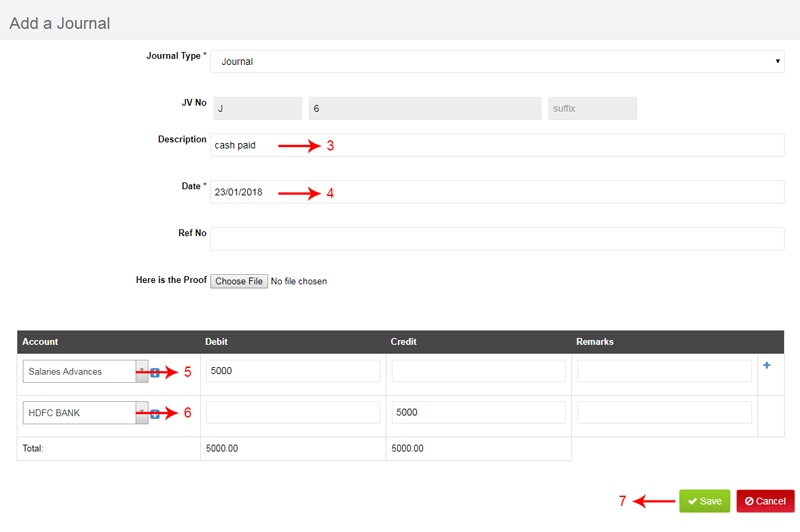 Select Salary ledger and add salary amount under debit column. Select bank or cash and add amount under credit column. Select ESI Employee payables ( current liability) and add amount under Credit column. Select PF Employee payable ( current liability) and add amount under Credit column. When You Make The Payment To Government, Now You Need To Pass Journal Entries. Select ESI Employee payable ledger and select amount under debit column. Select PF Employee payable ledger and select amount under debit column. 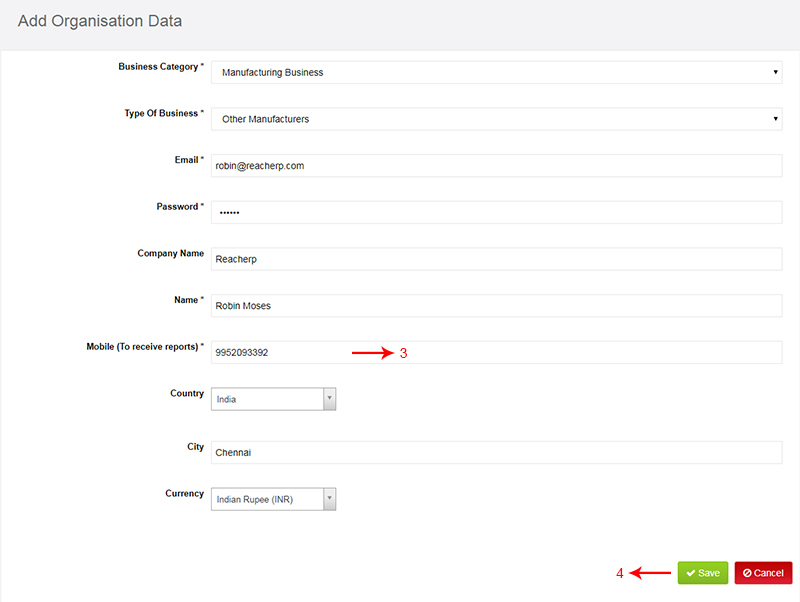 Select ESI Employer contribution ledger and select amount under debit column. Select PF Employer contribution ledger and select amount under debit column. When the owner makes payment to himself, it needs to be recorded in the Accounting Software. The question to how it should be recorded depends on the type of entity you are dealing with. If the organisation is a Proprietorship entity, The payments are recorded as “Drawings”. If the organisation is a Partnership, The payments are recorded as Partners Remuneration or Interest on Capital and adjusted to the Partners Capital Account. 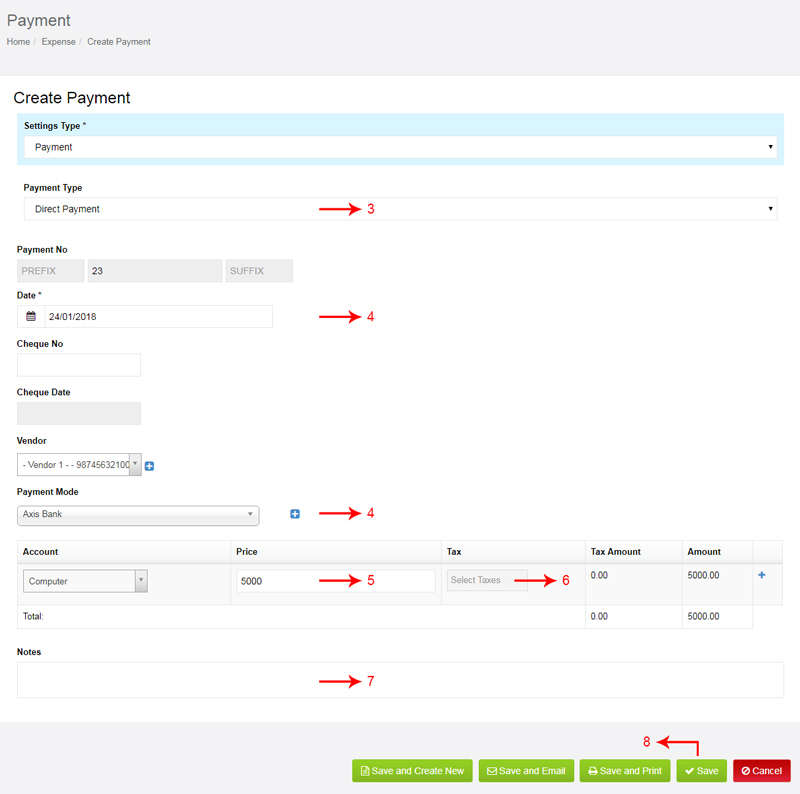 Now, Let me show you how these payments are recorded in Reach Accounting Software. Now select the “Directors Remuneration ledger in account and give the salary amount. Understand how Petty Cash can be managed using Reach. Every business earmarks some cash for daily office expenses done in cash. The cashier is usually made responsible for this fund and day-to-day expenses are met out of this Imprest. This fund is refilled everyday or week once it is used. Let me show you how petty cash is accounted for. When you give Advance Imprest to Staffs for incurring some Cash expenses, it need to be accounted for. The cash holder might come back and provide bills for the same and return excess cash. This needs to be accounted too. Make a payment of Rs.5000/- for travelling from petty cash account. Pass a journal entry to manage an exponse made by business owner of Rs.1000/-. Now select the Petty cash ledger in account Petty cash means daily office expenses(Water expenses, Tea,coffee expenses,travelling expenses,) and give the amount. Select Loan from Director Ledger or Capital Ledger and Add credit amount. 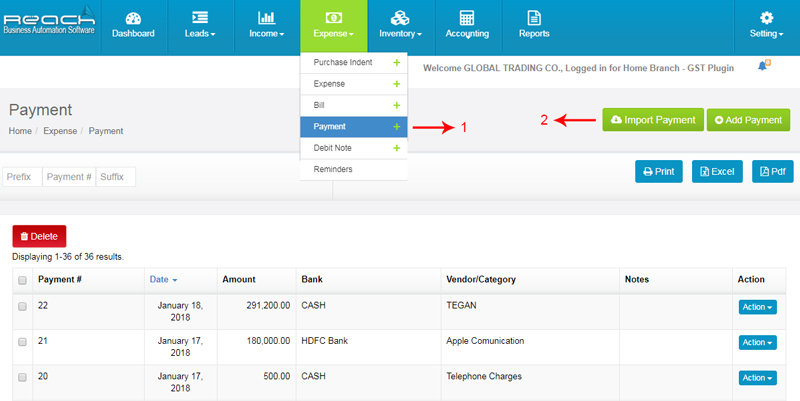 Select Expenses Ledger and Add debit amount. 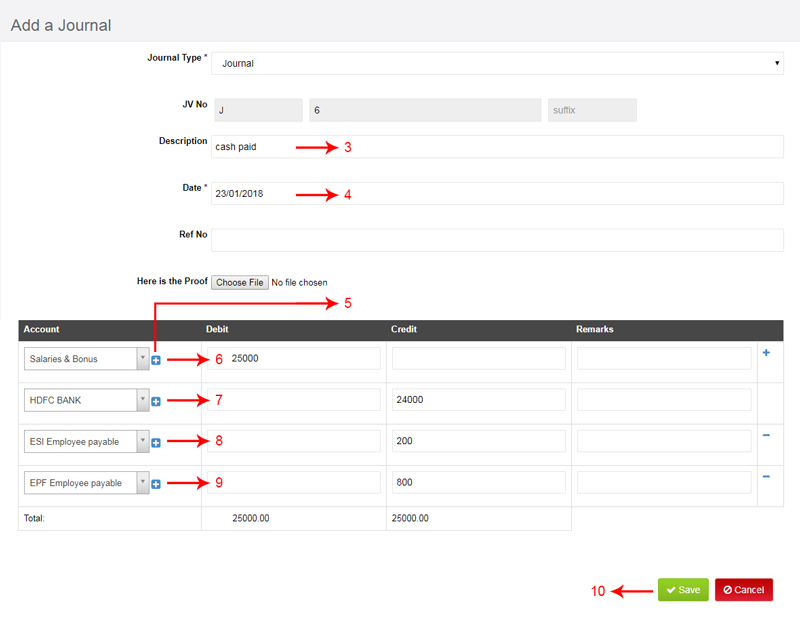 Click journal under accounting tab. 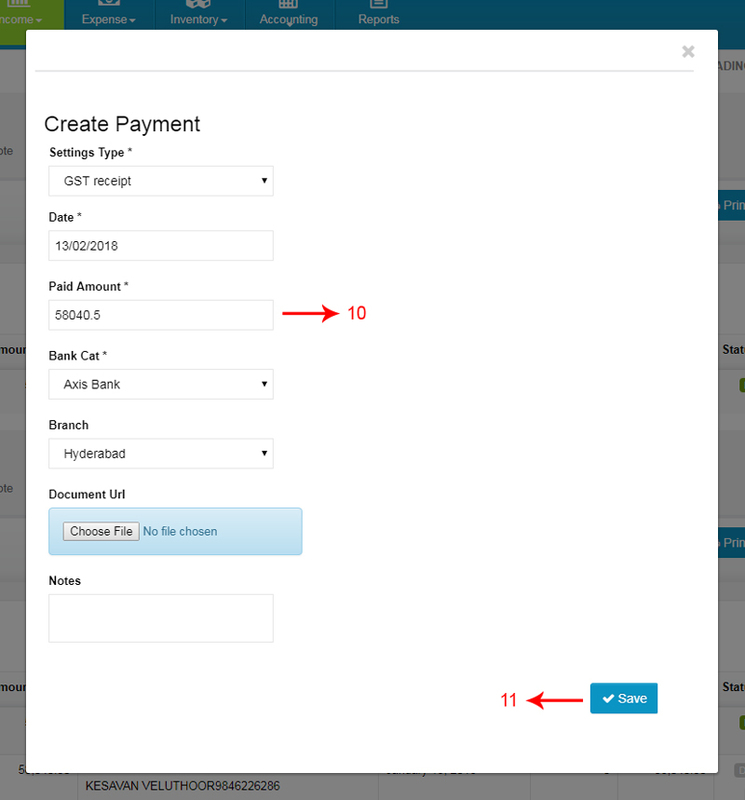 Now select Loan from Director Ledger and Add Debit amount. Select Bank and Add credit amount. Now I will show you how this can be managed in Reach Software. Go to Contra under accounting tab. Now select To Bank or cash. When you buy a Fixed Asset, like machinery, furniture etc you incur ancillary expenses on it life transport, insurance, registration etc. All the expenses incurred till the point such asset is put to use is capitalised and added to the cost of the asset. This cost needs to be recorded in the Accounting Software. In this section, we will explain how this needs to be recorded. When an Asset is sold, the receipt needs to be recorded in the software and any profits arising thereof recorded. This section deals with how this needs to be recorded in the Accounting Software. Depreciation is recorded in the software while doing the year end processing. This needs to be recorded at a fair percentage calculated according to the wear and tear or according to the prescribed laws. This section will teach you how depreciation is recorded in Reach Accounting Software. 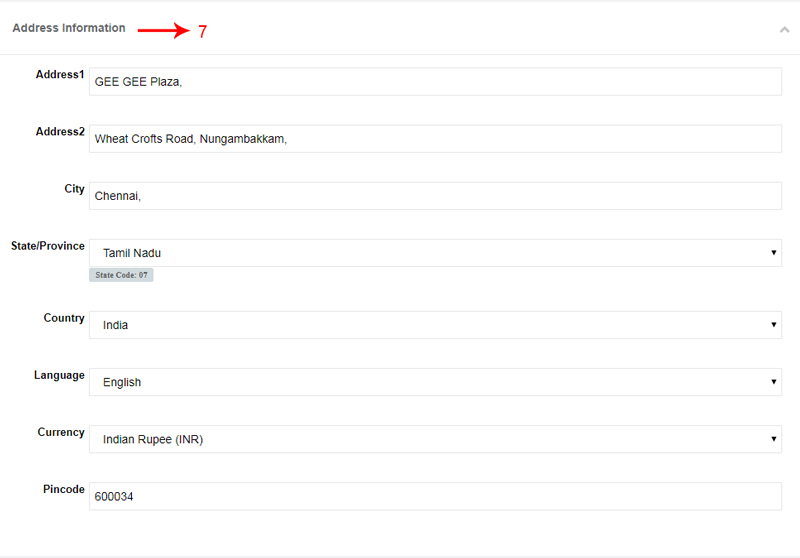 Fill the Reference Number and click Here is the Proof. 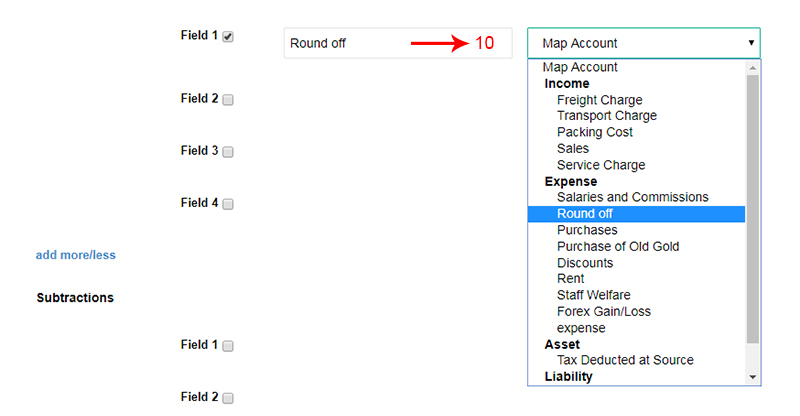 Now select fixed asset (Computer) and add amount under debit column. When an Asset is sold, the receipt needs to be recorded in the software and any profits arising thereof recorded. Let me now show you how this transaction is recorded in the accounting software. 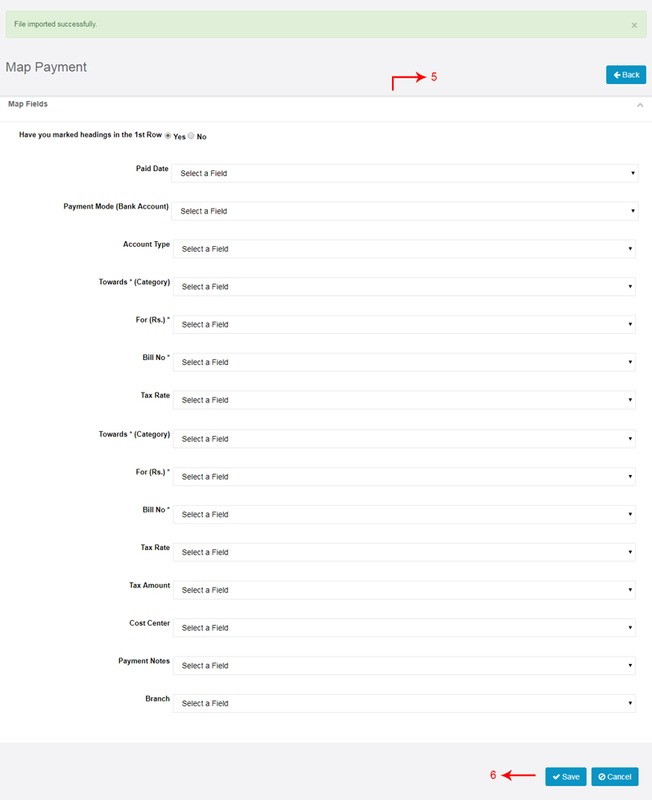 Click Settings, under Settings tab. 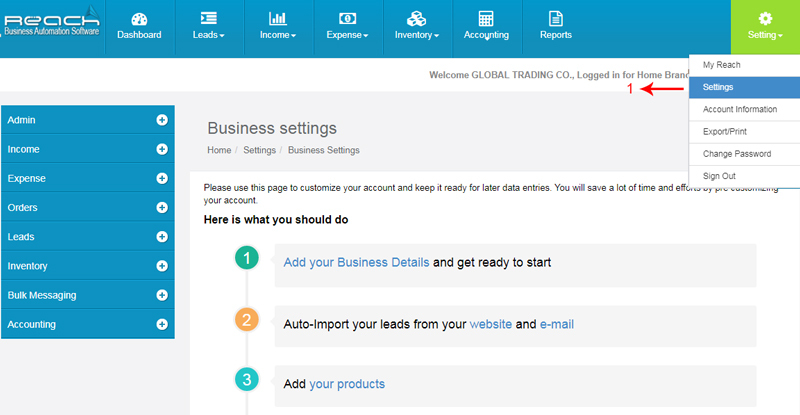 Click Account Ledger, under accounting tab. Now click add a account button. 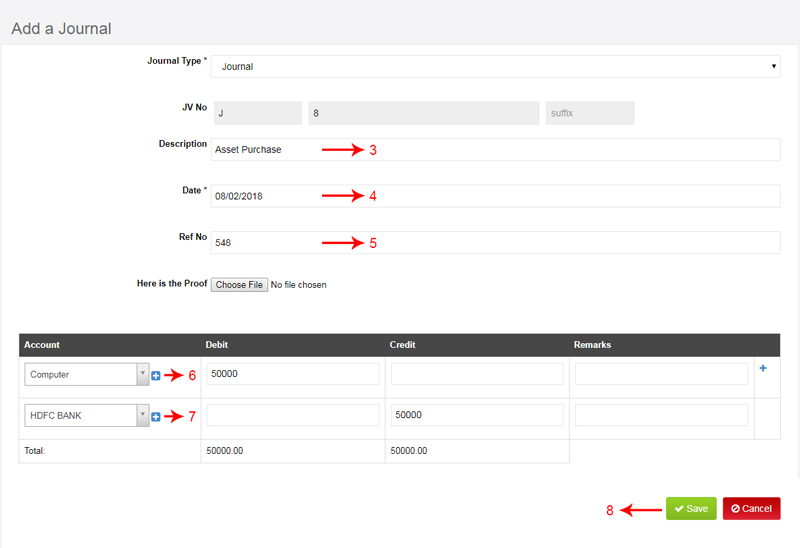 Add ledger name (loss on fixed asset). Now select bank or Cash and add amount under debit column. Select fixed asset (Computer) and add sale amount under credit column. 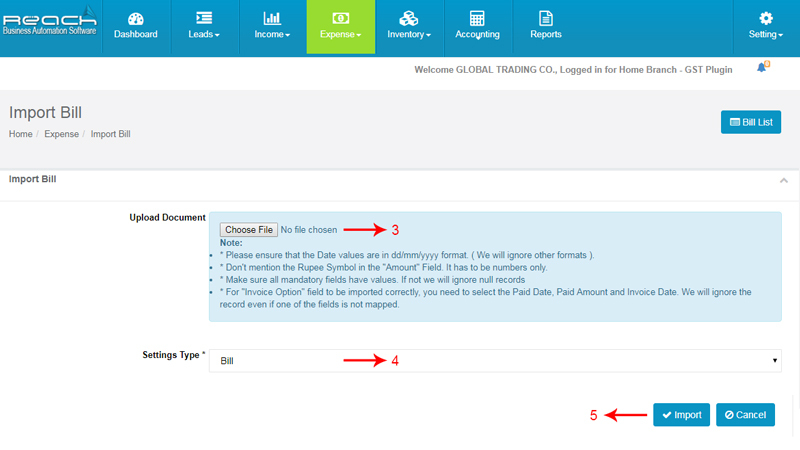 Now select loss on fixed asset ledger and add loss amount under credit column. Depreciation is recorded in the software while doing the year end processing. This needs to be recorded at a fair percentage calculated according to the wear and tear or according to the prescribed laws. Let me show you how depreciation is recorded in Reach Accounting Software. 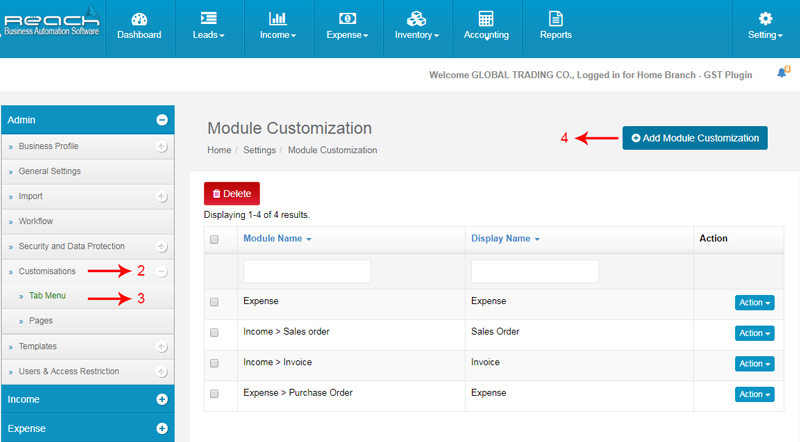 Now select Depreciation ledger and add amount under credit column. Select fixed asset (Computer) and add sale amount under debit column. A Loan or a Debt is raised for a business to finance its trade or Investment. Loans can be recieved as Term Loans, Asset Loans or Over drafts. When a Loan is recieved it has to be recorded in Reach Accounting Software. This section will teach you how to record a Loan taken for the business. When a term loan or an Asset loan is repaid in Equated Monthly Instalments, The payment includes both Principal and Interest repayments. We will have to calculate the Interest component in the EMI and record it as an Expense. The loan account has to be reduced to the extent of the principal component. This section will teach you how this is done. When the partner brings in Capital to fund the business, it needs to be recorded in the software. This transaction needs to be journalised and recorded to give effect in the Balance sheet. This section shows you how partners capital is recorded in the Accounting Software. A Loan or a Debt is raised for a business to finance its trade or Investment. Loans can be recieved as Term Loans, Asset Loans or Over drafts. When a Loan is recieved it has to be recorded in Reach Accounting Software. You can add the details of the new ledger by clicking on the “+” button near the account field. 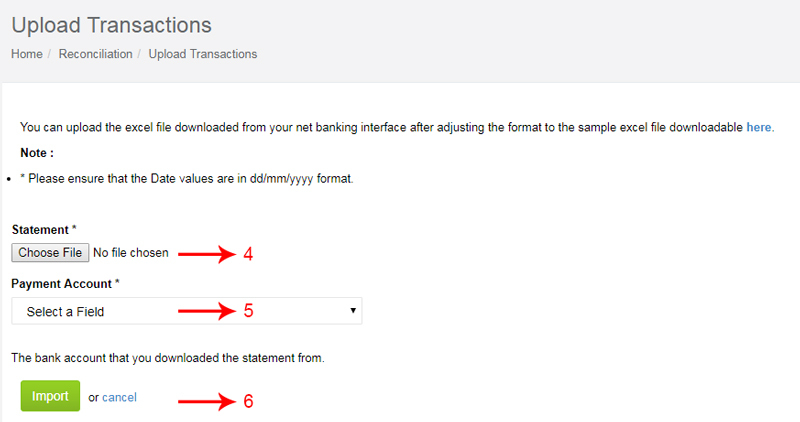 Select bank and add amount under debit column. When a term loan or an Asset loan is repaid in Equated Monthly Instalments, The payment includes both Principal and Interest repayments. We will have to calculate the Interest component in the EMI and record it as an Expense. The loan account has to be reduced to the extent of the principal component. 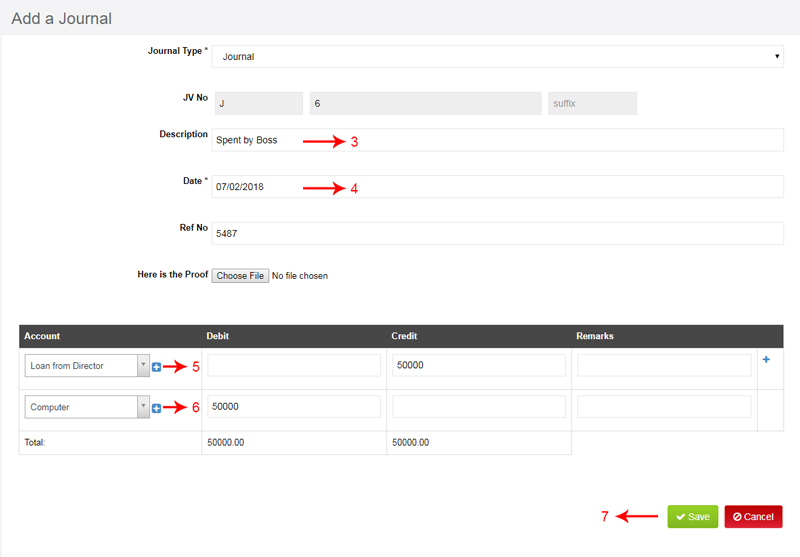 Go to Journal under account tab. Select ledger (Loan from Bajaj) and add amount under debit column. 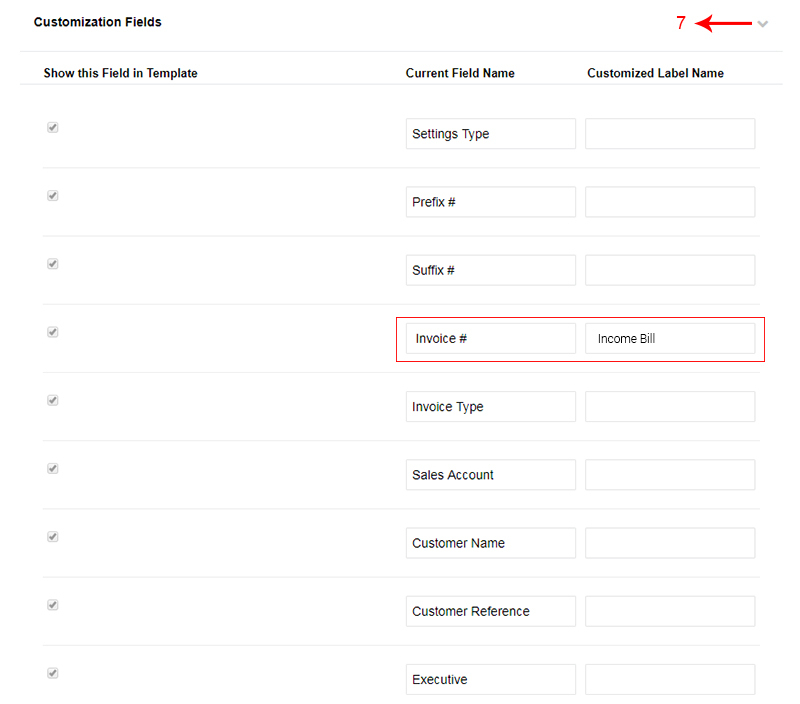 Then select Interest on loan and add amount under debit column. 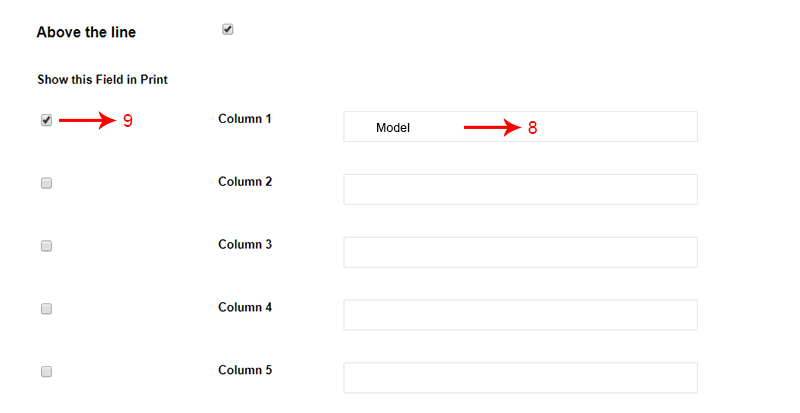 Select bank and add amount under Credit column. Now let me show you how a capital is recorded. 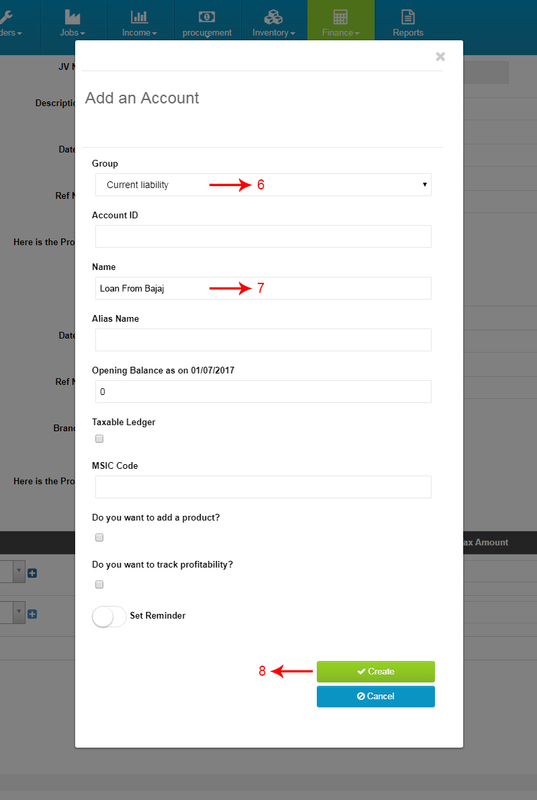 Select ledger (Partner Capital) and add amount under Credit column. In this section, Let us discuss the Compliance Requirements of VAT along with a step-by-step procedure on How to file VAT Returns. What is the frequency of returns to be filed under VAT? Monthly Return Only certain classes of businesses will be asked to file VAT Return on a monthly basis. This is yet to be notified. The VAT payable determined after off-setting the Output VAT with Input VAT needs to be paid through the FTA portal. The Online VAT payment facility will be provided in the FTA portal, wherein the registered businesses can remit the VAT payable. Refunds happen when either the Seller is buying Taxable goods and selling exempt or when the seller is an exporter who is entitled to claim refunds. The name, address and the TRN of the Registrant: The Tax Registration Number (TRN) provided by the FTA needs to be furnished in all the VAT Returns. 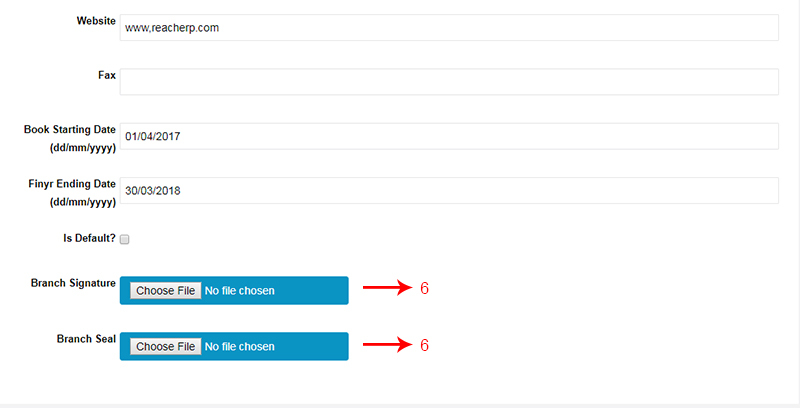 Based on the TRN number, the name and address details are expected to be auto-populated. The date of submission: The VAT returns need to be submitted within 28 days following the end of the VAT return period. Here, the date on which returns are submitted will be captured. Tax Period: Tax Period is the return period to which the Tax Return relates. For example, for January to March’18, it will be Jan-Mar’18. Zero rate Supplies: The details of notified supplies which are under Zero-rated list needs to be furnished in this section. Exempt Supplies: Supplies such as financial services, residential building etc. which are notified as exempt supplies need to be captured here. Intra GCC Supplies: Supplies made to customers registered for VAT in other GCC implementing states and for which the place of supply is the other GCC implementing state needs to be captured here. Details of the expenses (Purchases) made in the VAT return period: You need to declare the value of expenses incurred on which you are eligible to recover Input Tax and the amount of Recoverable Input Tax in the VAT return period. Please note, the value of input tax credit which is restricted or which you are not eligible to claim, should be reduced from the total and only the net value needs to be mentioned. Also, the total expenses and recoverable Input Tax needs to be shown separately for standard rated expenses (on which 5% VAT was paid) and the expenses, subject to reverse charge. The total value of Due Tax and Recoverable Tax: You need to mention the total output tax collected and recoverable input tax during the return period. 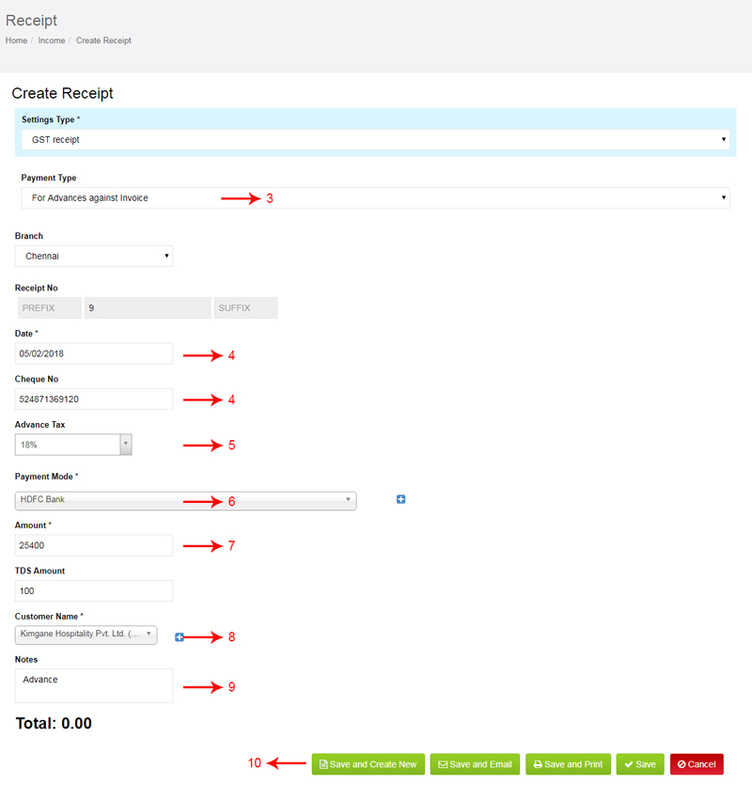 Generate the VAT return file from Reach accounting software. Login to FTA e-tax portal using your login credentials and upload the return file. Validation and Auto Fill VAT Return Details. Once the financial year comes to a close, we have to enter the transactions in the new financial year either as a new data file or as a continuation to the existing file. The balances of customers and vendors have to be re-instated and reserves needs to be started fresh. These transactions need to be done in reach once the financial year ends. At the end of the year, the following accounting entries need to be passed. This section discusses the Journal entries to be passed. A new Financial year needs to be created in Reach carrying forward all the closing balances. This can be done automatically in Reach. Let me show you how this is done. Once this is done, it is recommended to freeze the transactions of that financial year. This section shows you how this is done. Export entire financial year transactions to Excel.